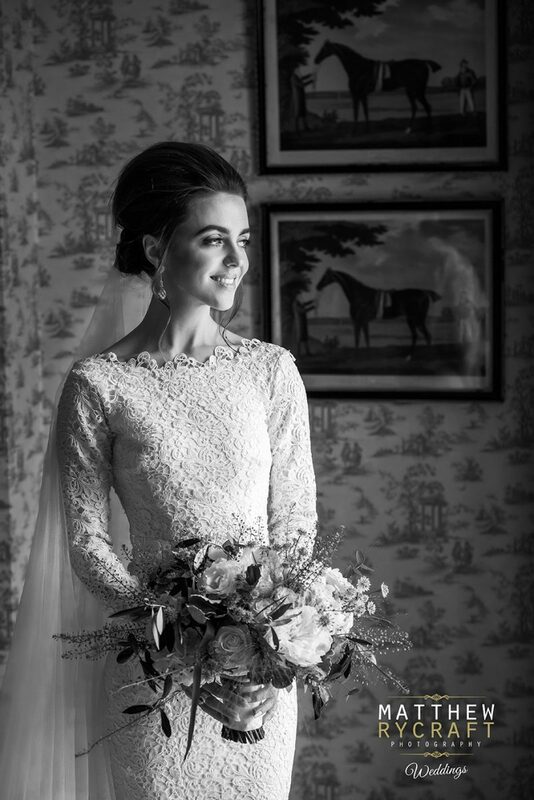 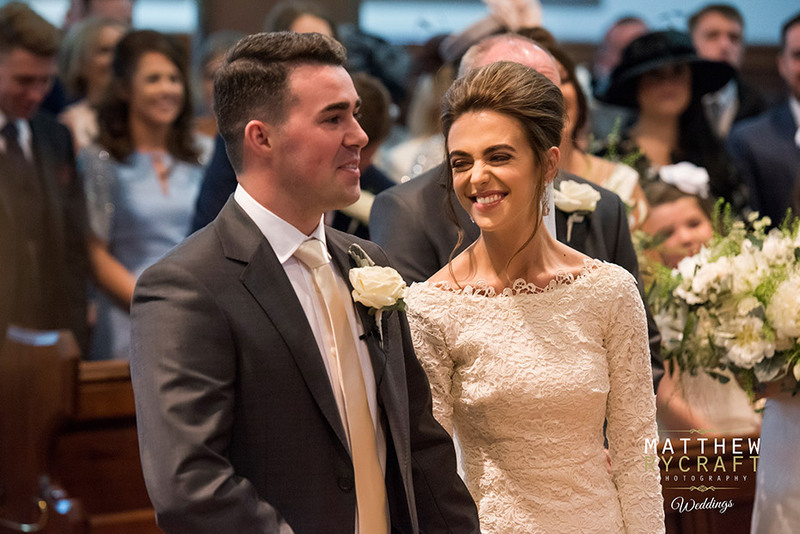 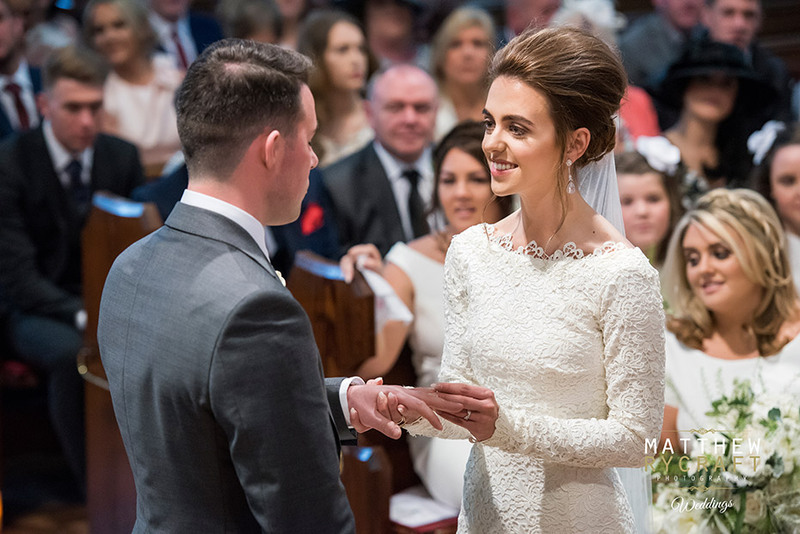 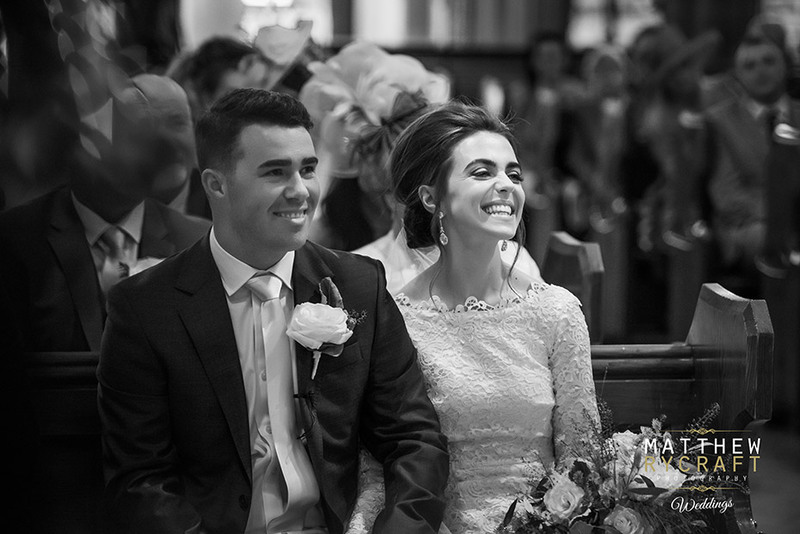 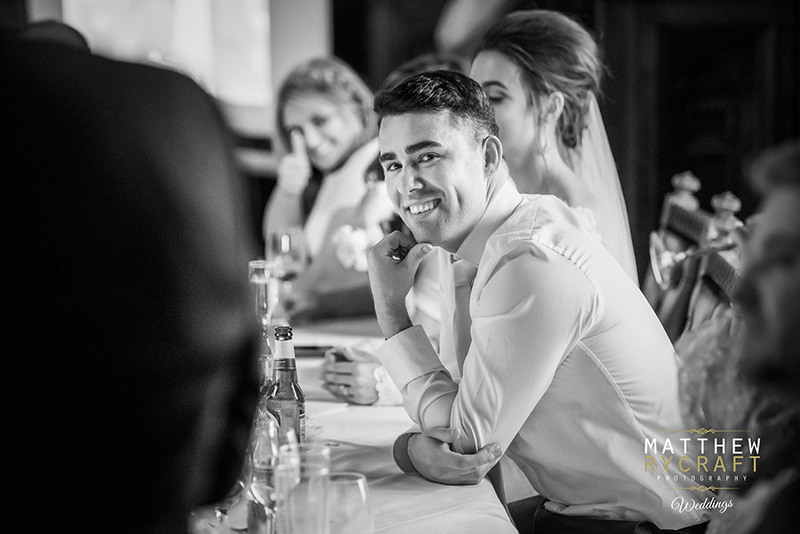 Alex said, 'I am normally a nervous person and thought I would be a nervous wreck but in the morning and even on the wedding eve I had this overwhelming calmness about me. 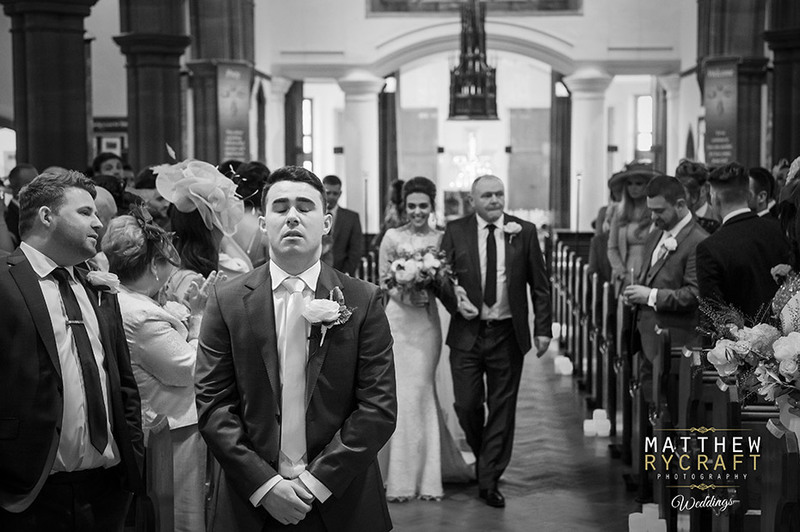 There was no nerves or stress just blissful calm. 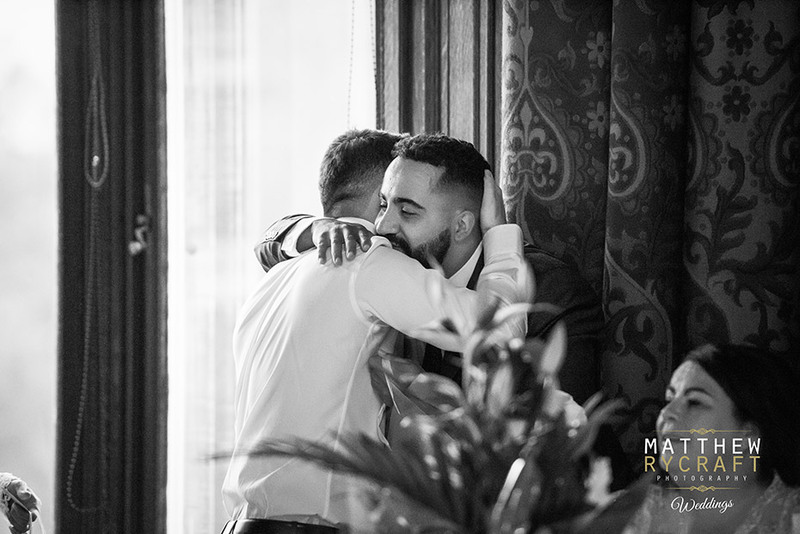 I don't know where it came from, everything just felt right. 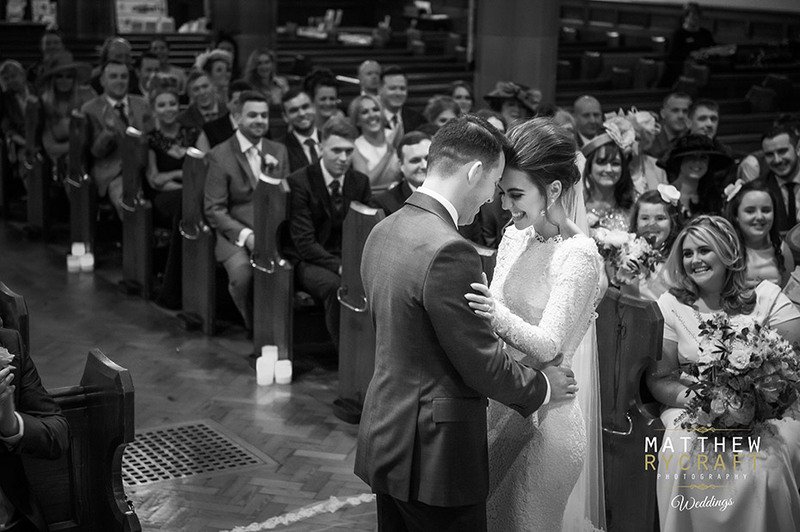 I was bursting with happiness and excitement but no nerves, I think it was because I was truly happy, content and peaceful knowing I was marrying the love of my life and enjoying every minute". 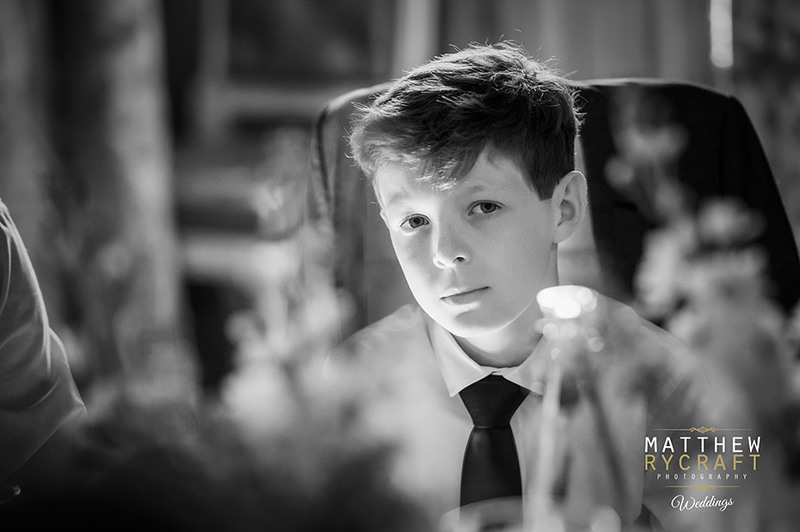 Michael, "I was feeling tired due to waking up at half 5 in the morning with excitement. 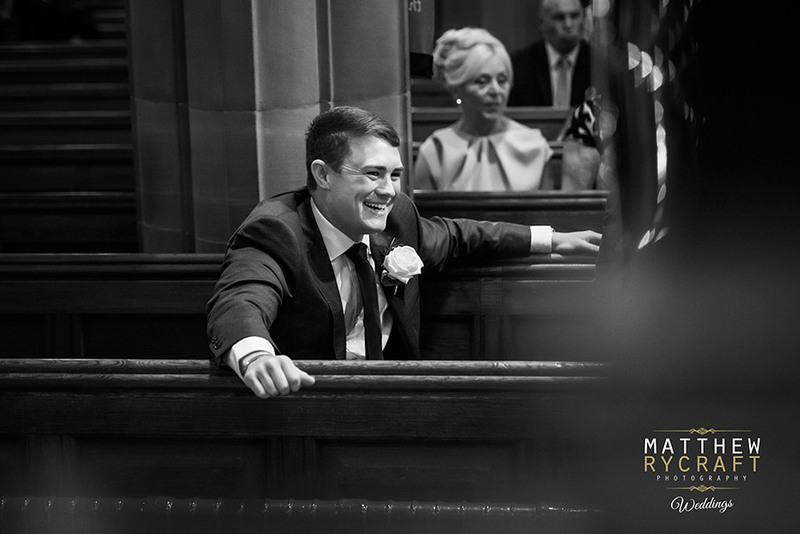 There was no nerves I was calm whilst doing some little bits of running around. 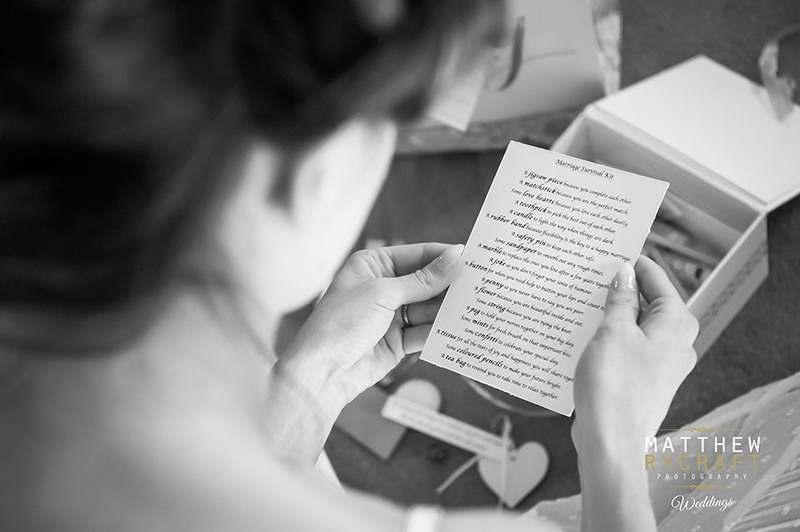 I was so excited for Alex to open her present from me, I'd given it to one of the bridesmaids to give it to her in the morning." 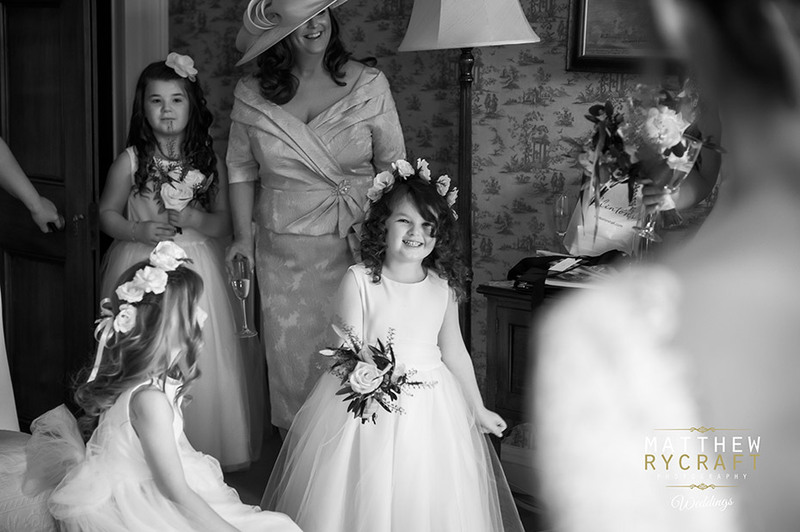 To help them get ready for their big day Alex had her beautiful Bridesmaids along with her Diamond and Flower Girls. 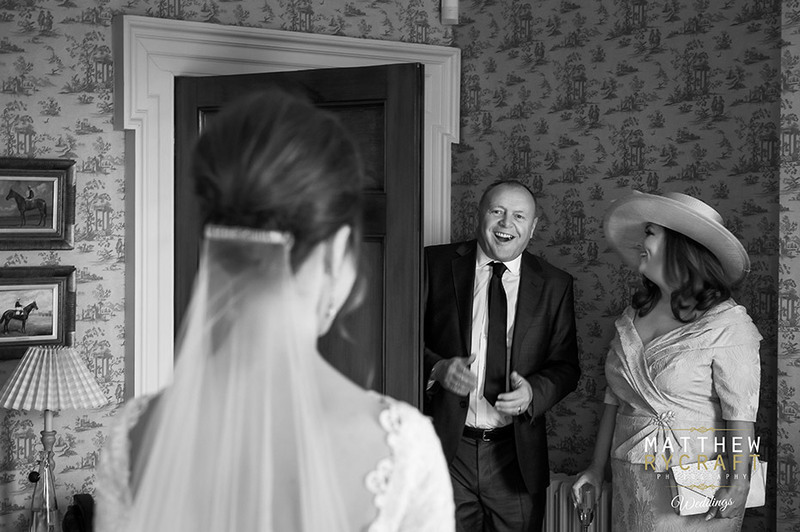 The lovely Kirsty Doyle came along, to help Alex get into her beautiful dress. 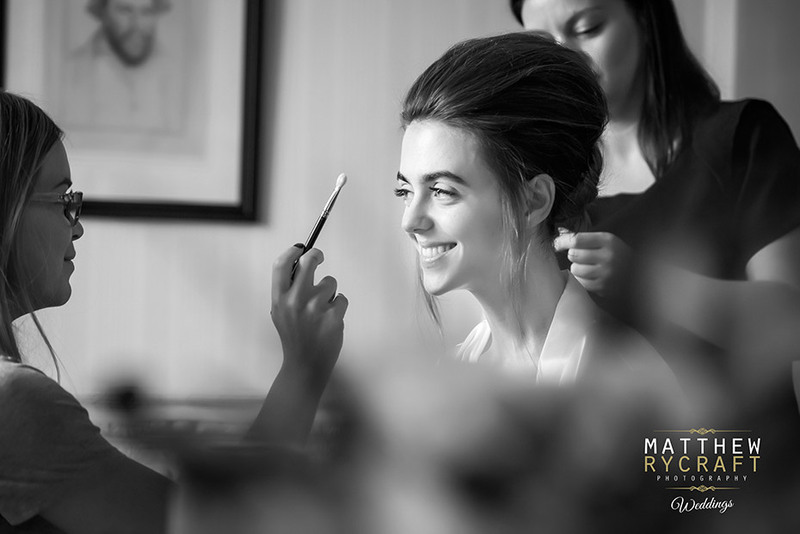 Her Make-up Artist, Robyn at Robyn's Makeover Studio was on hand all day, making sure of any makeup touches needed. 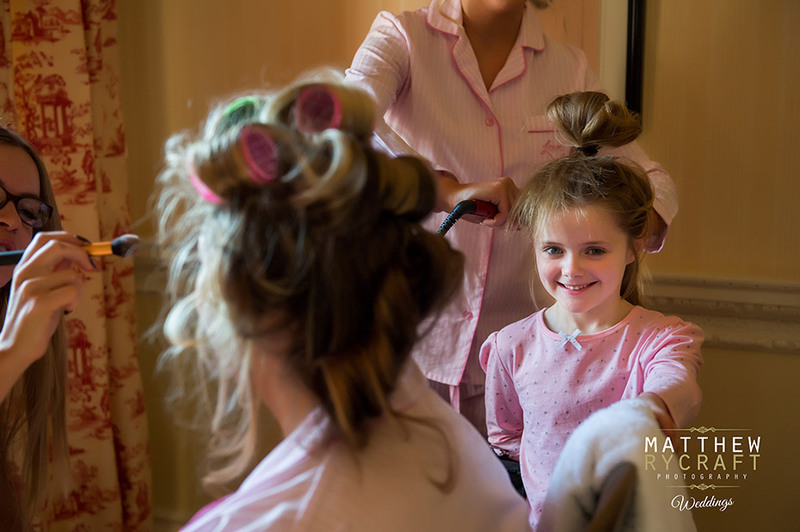 Sasha styled the Alex's and Bridemaids hair, which looked beautiful. 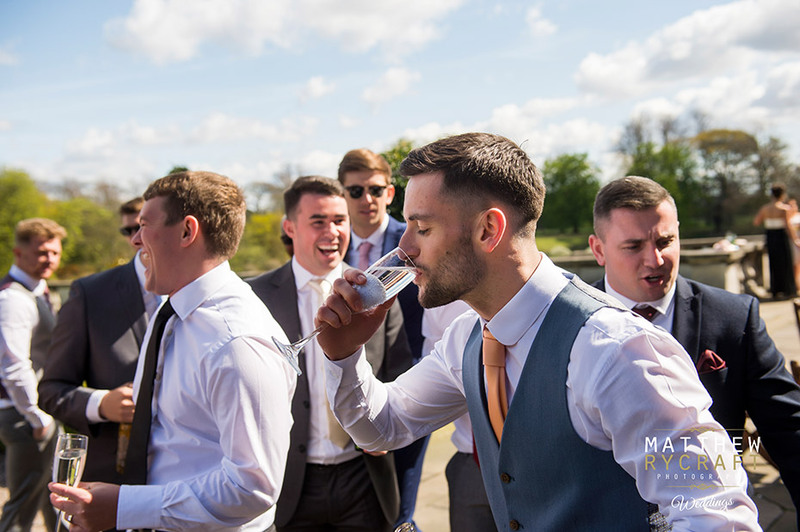 Mike's brother, best men and grooms men, were with him helping to calm the nerves and get Mike ready for the day. 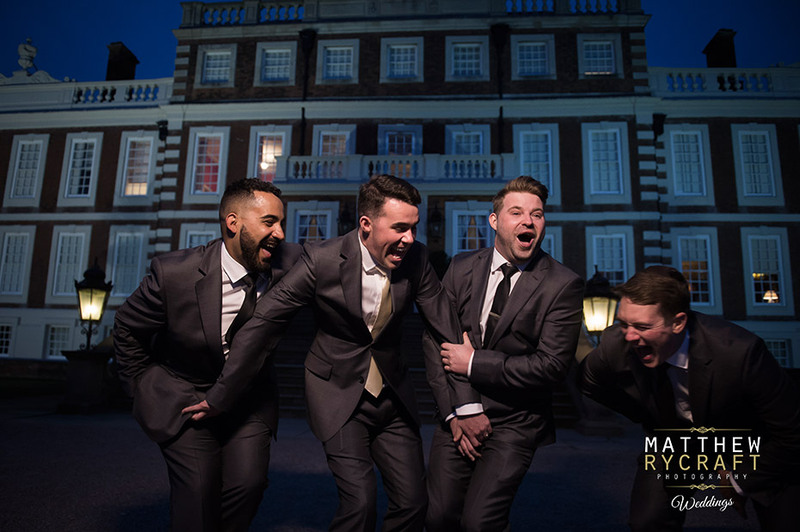 The groomsmen's suits were from Moss Brothers and they all looked very cool. 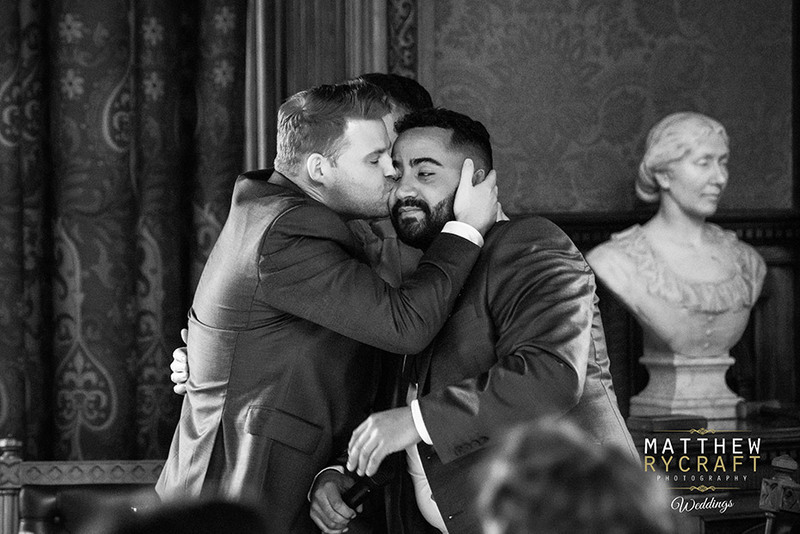 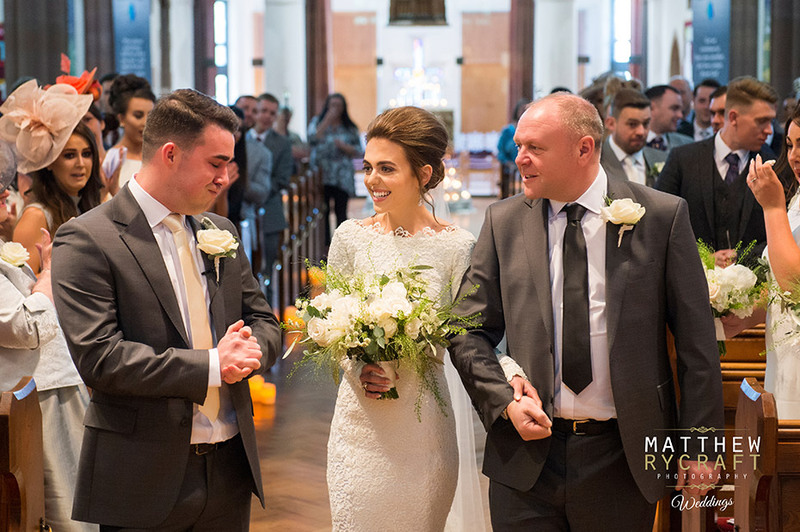 Alex and Mike's said, "The most memorable part of the day was the church service, the part where we actually got married! 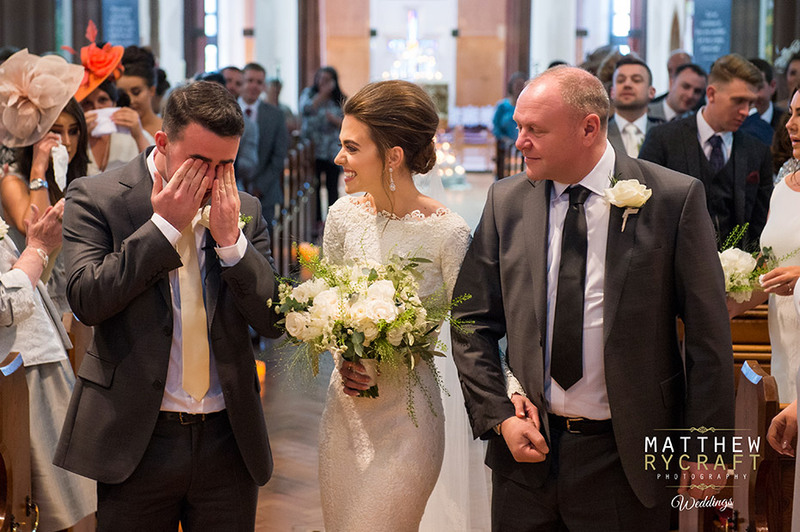 It was absolutely beyond perfect, I have no words for how how amazing it felt to be standing at that beautiful alter together in front of our friends and family making our vows to each other for the rest of our lives. 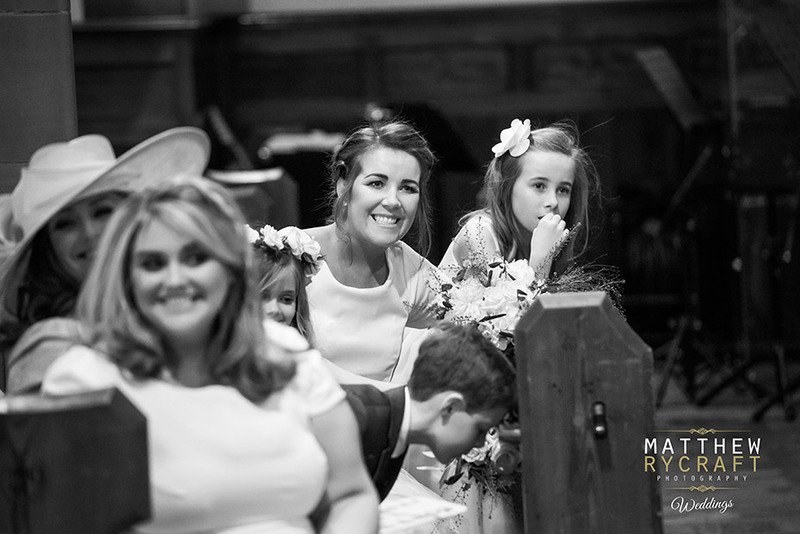 Reverend Kip Crooks was amazing and made the service so special and fun. 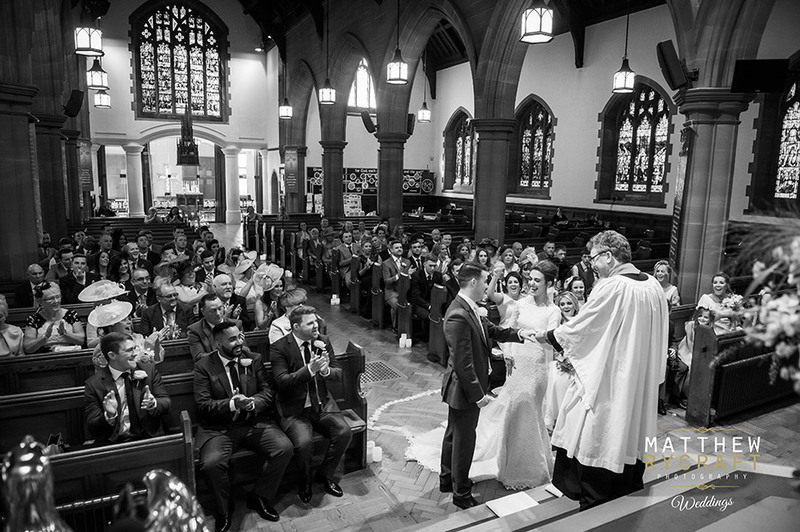 Also Graham Paisley of St. Peter's is truly amazing and made sure everything ran so smoothly and was so helpful, I couldn't thank them both enough and everyone at the church." 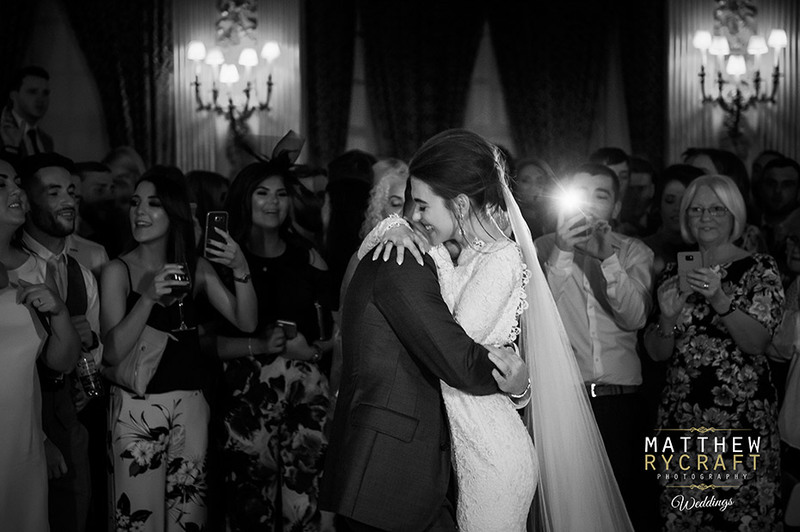 "As James Morrison's 'you make it real' started to play in the evening, we came together surrounded by our friends and family. 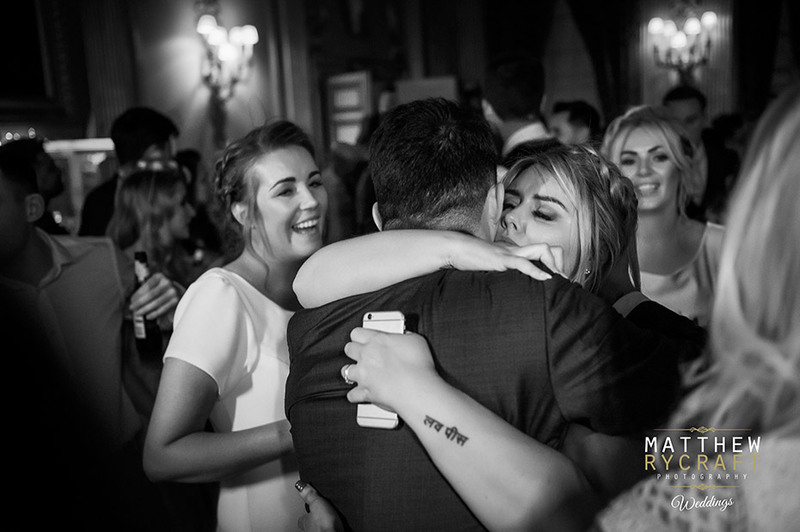 As Michael put his arms around me it honestly felt like it was just us 2. 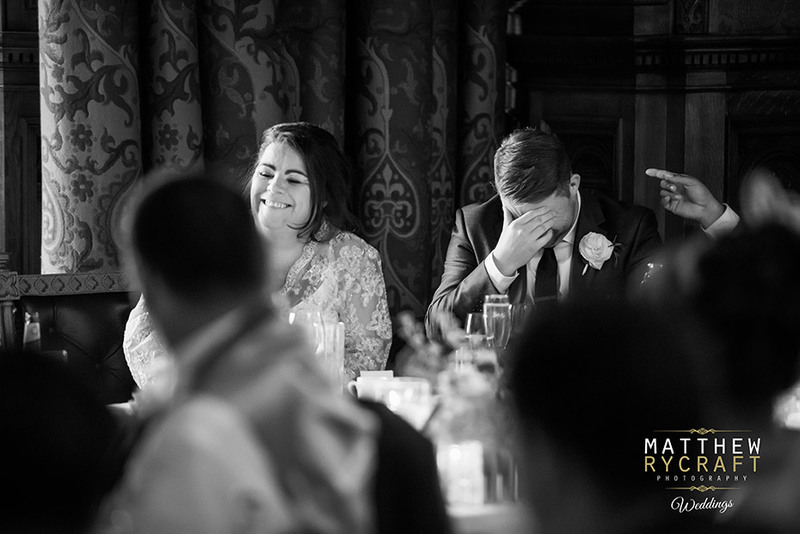 This had been 'our song' for years and to be dancing to this on our wedding day was truly perfect. 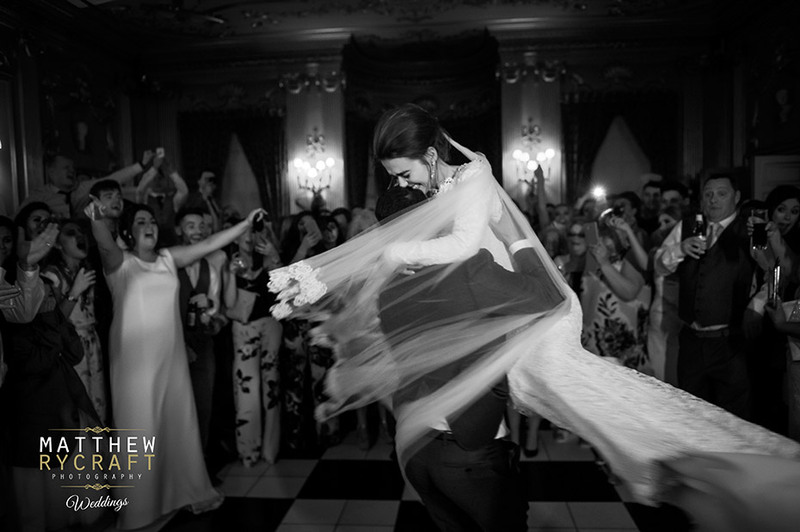 Michael suddenly picked me up and spun me around making my dress twirl all around us, I remember holding my arms around his neck so tight and although I thought we might end up on the floor I couldn't stop smiling! 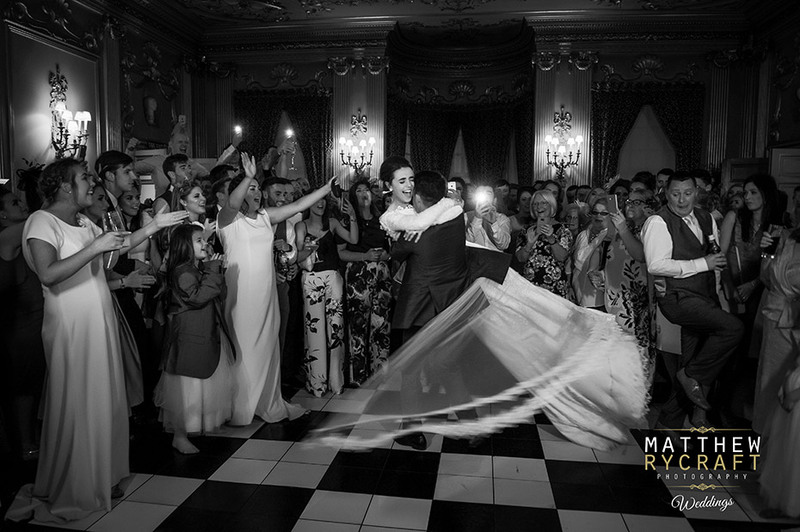 Michael whipped me around the dance floor and I was the happiest girl in the world." 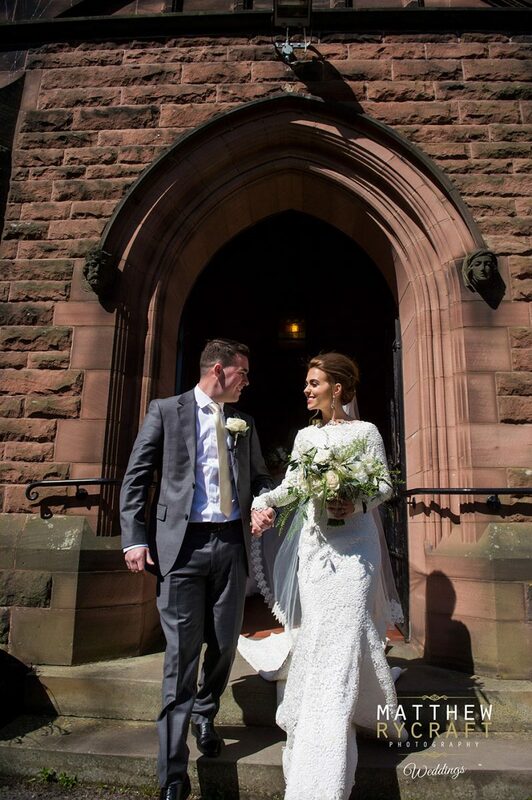 My dress was designed by me and created by the amazing Kirsty Doyle, www.kirsty-Doyle.com. 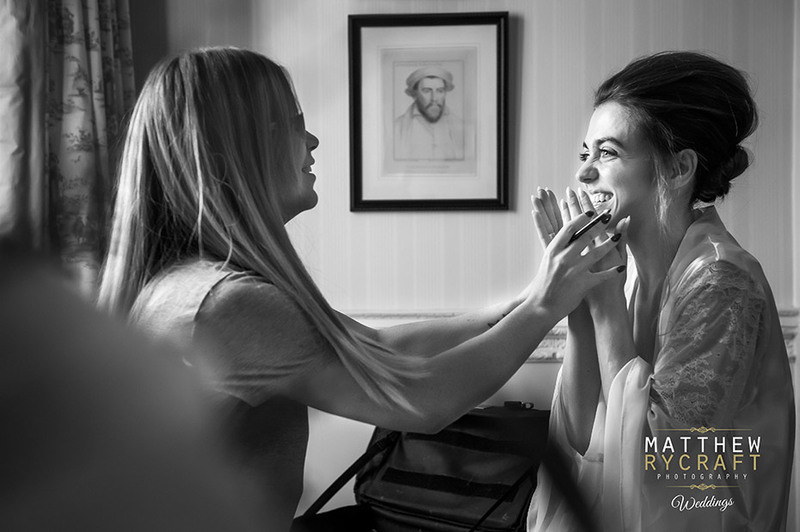 Kirsty was amazing from start to finish I would highly recommend her and her lovely team to any future bride. 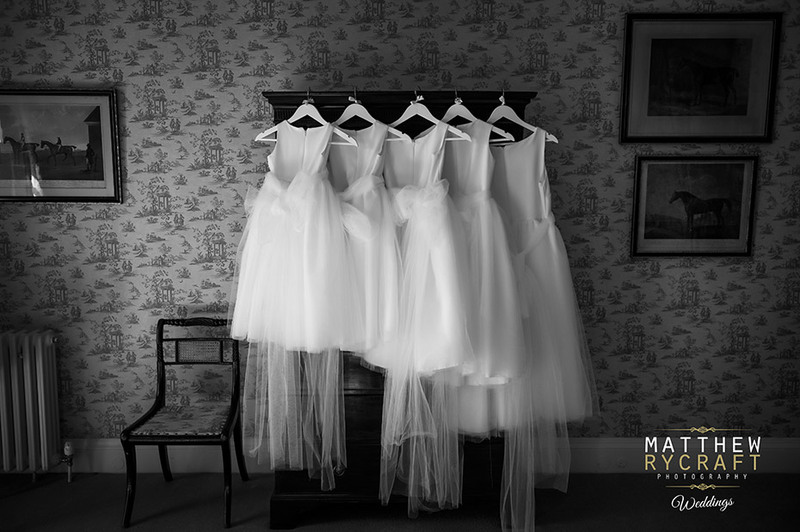 My bridesmaids dresses were made by a friend - Sandra Nugent who was fabulous in creating beautiful dresses to fit the girls perfectly. 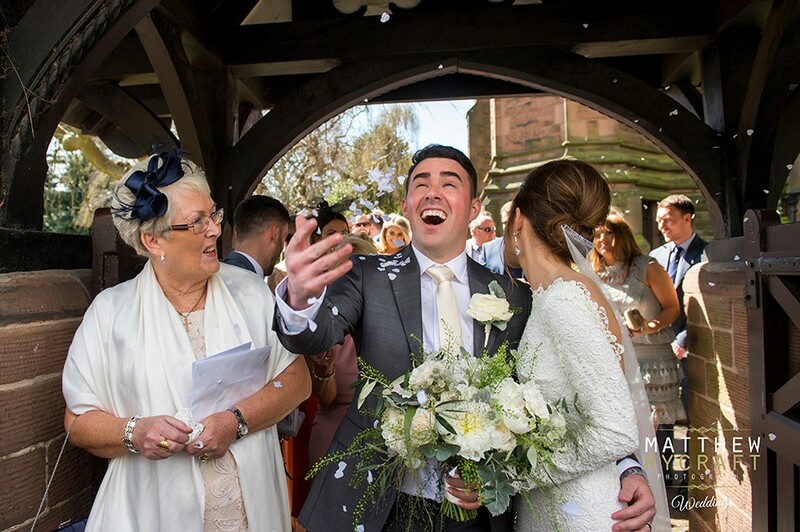 Our florist was an amazing florist called Heather, her business is Flower Fashion UK. 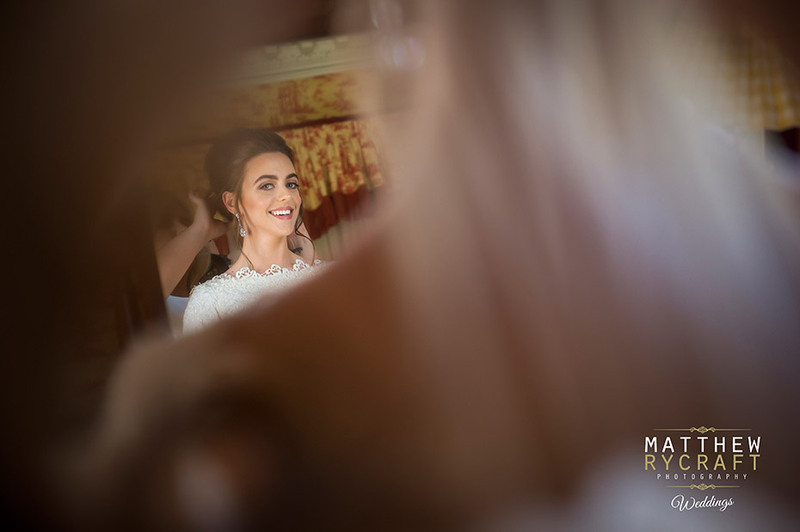 Her creations are absolutely beautiful and she is a lovely person too helping with other things on my wedding day including fluffing my train before walking down the aisle. 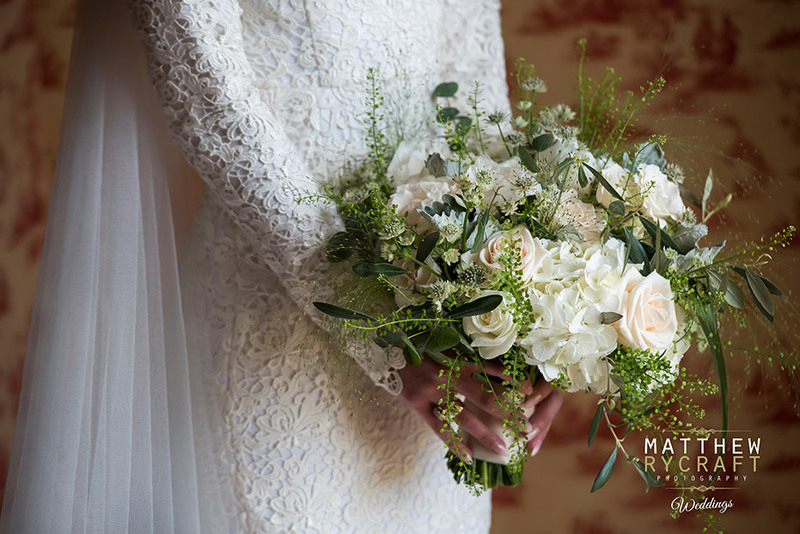 www.flowerfashion.co.uk. 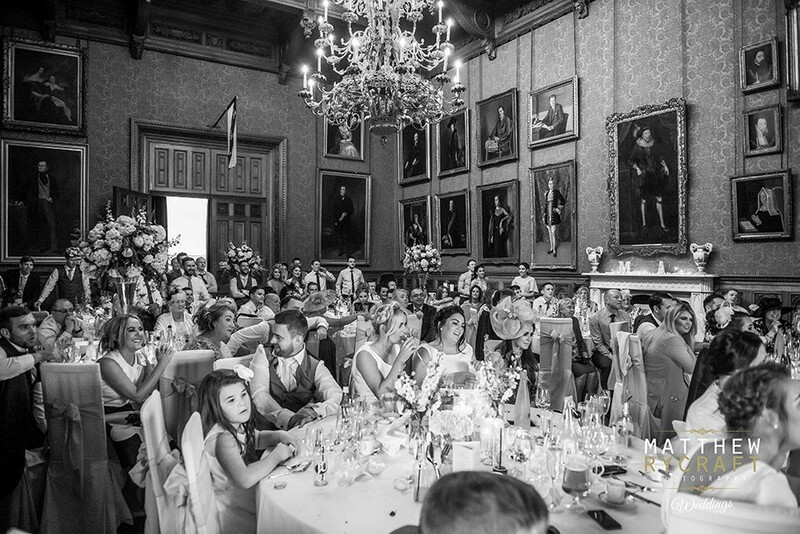 Heather also dressed the church and part of the hall and the wonderful staff at Knowsley hall also dressed part of the Great hall. 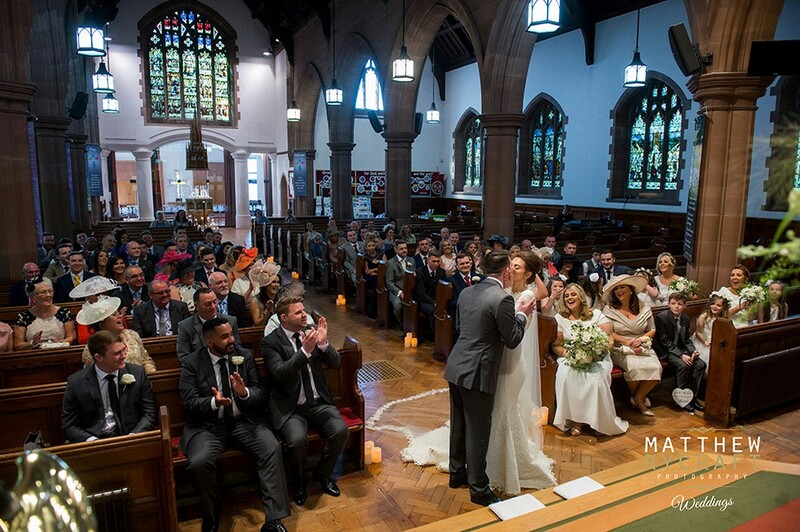 Both the church and the hall were dressed so beautifully. 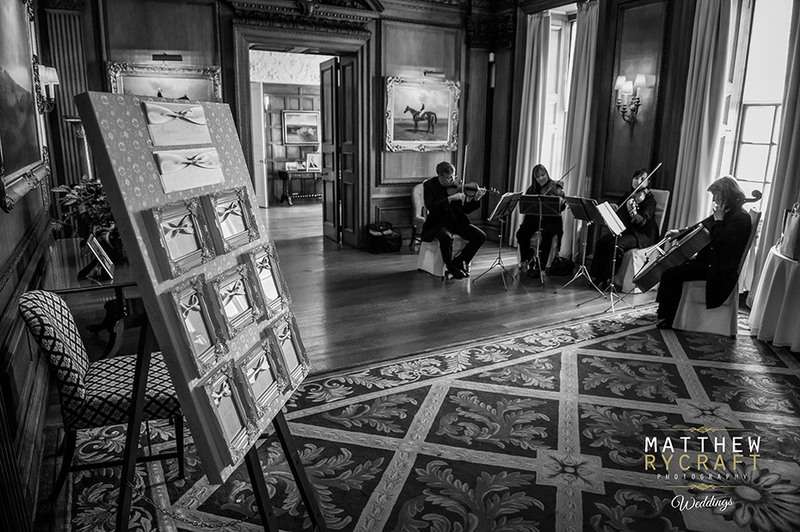 We had a string quartet at Knowsley hall for when we arrived back from the church who were absolutely perfect they are The Leighton-Jones String Quartet - ljstringquartet.co.uk. 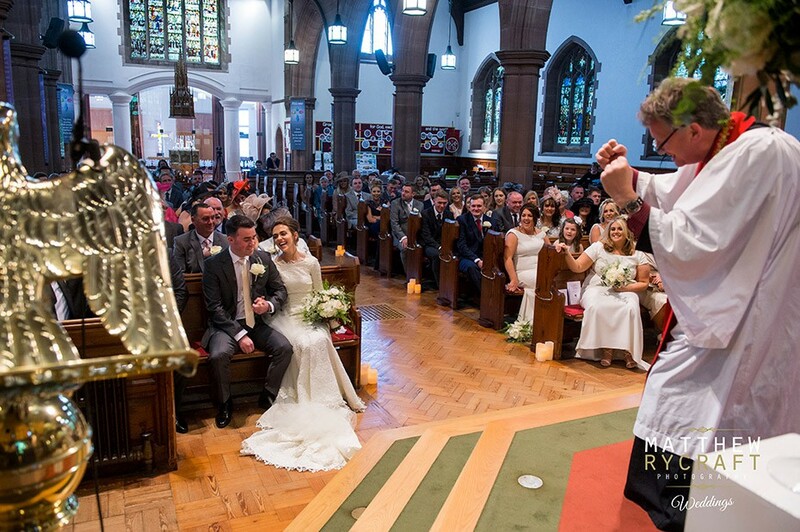 For the evening entertainment we had a really great band called the Trunk monkeys. 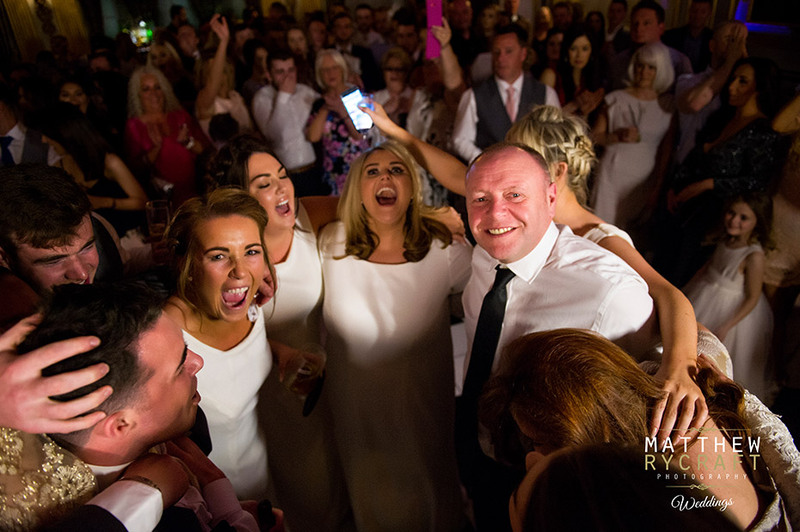 They truly were brilliant and had the dance floor filled all night! 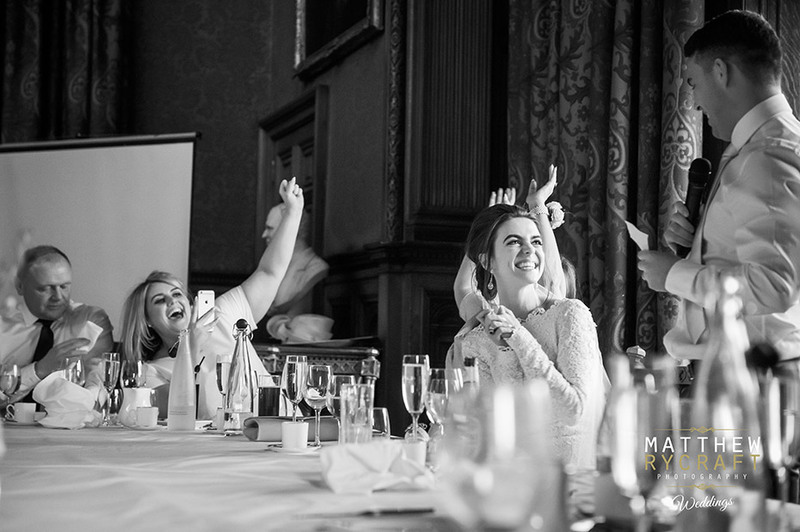 The lead singer Georgie had the girls having a sing off with the boys to see who was the loudest singing 'hey Jude' by the Beatles which was an unforgettable moment. 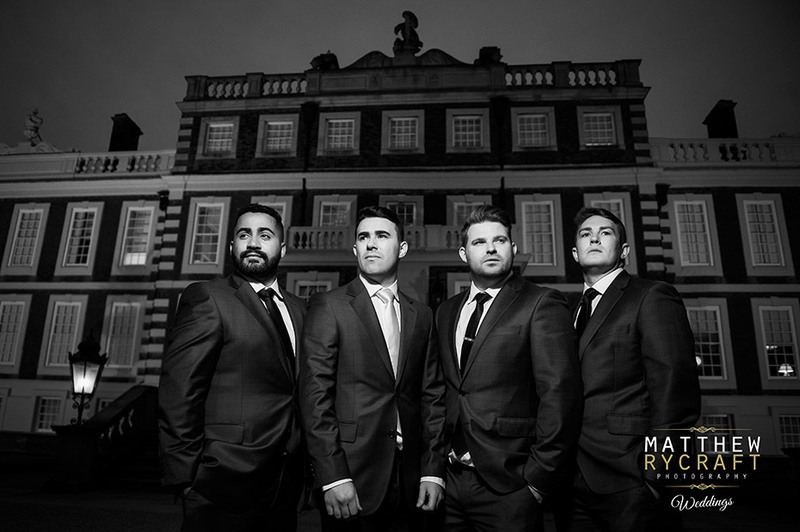 www.trunkmonkeys.co.uk. 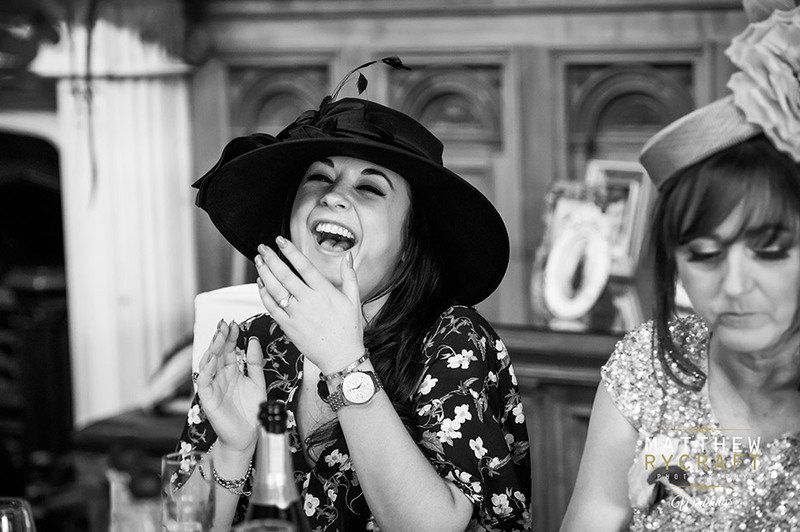 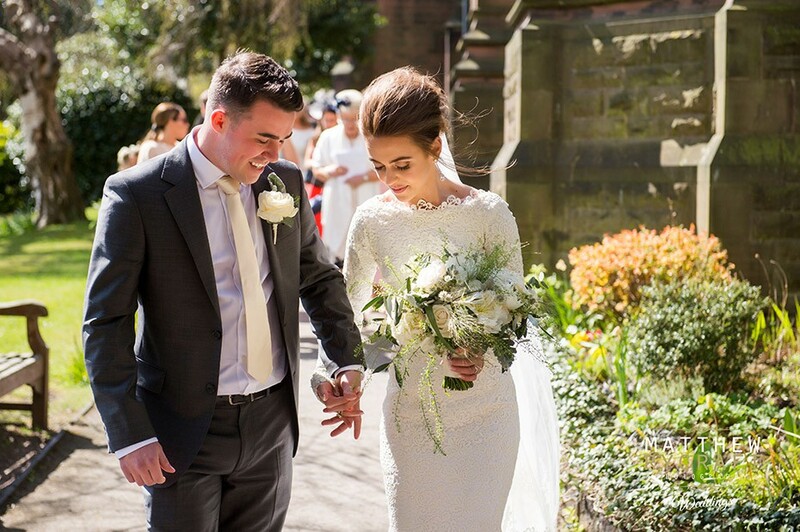 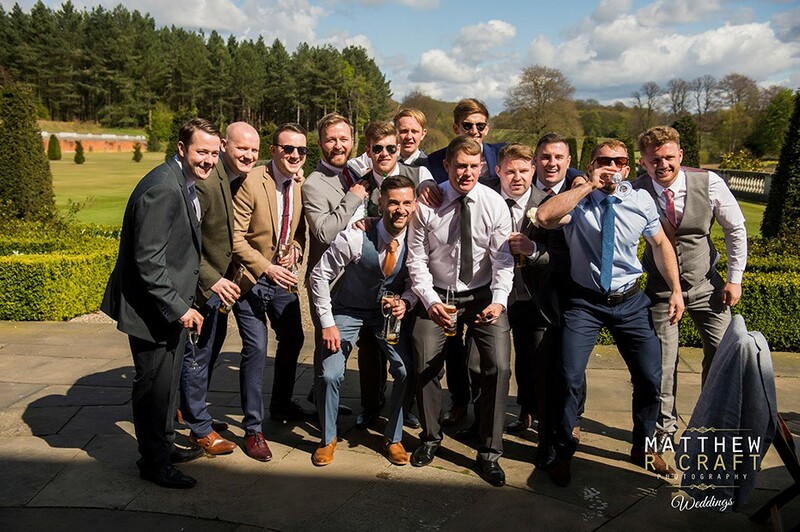 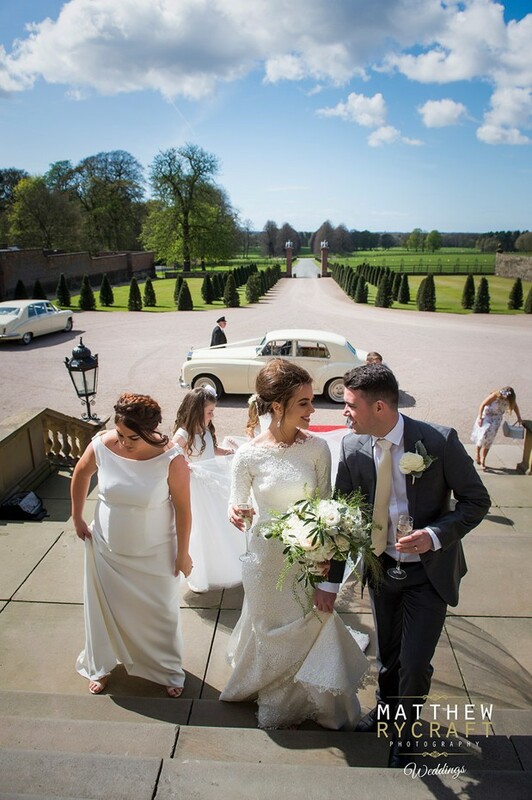 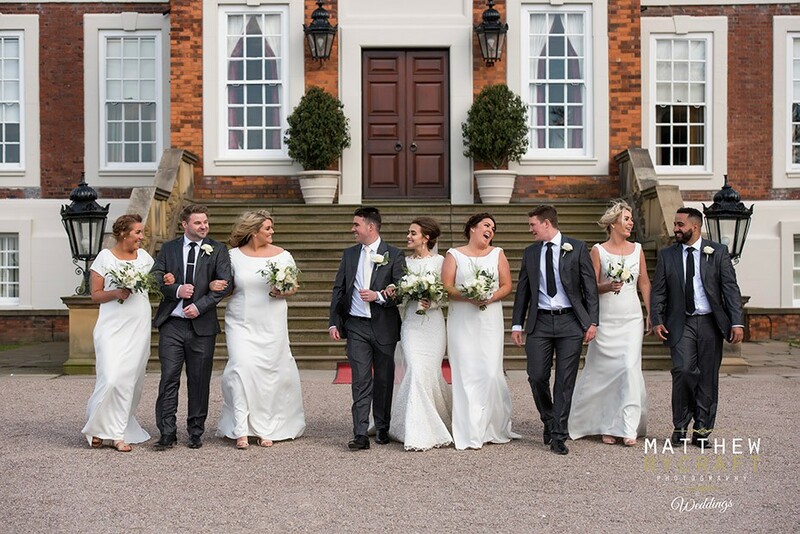 Alex, "Knowsley hall is our fairytale place and the staff are more like friends. 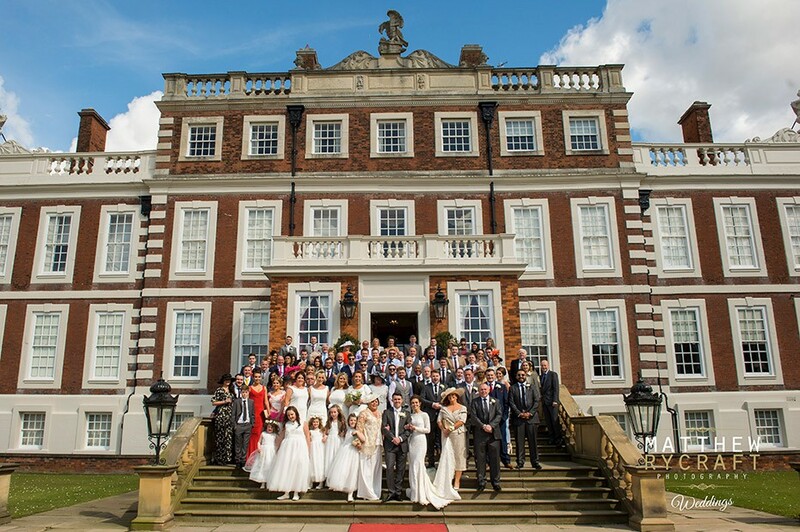 It is hard to describe how we feel about Knowsley hall and the staff there, outstanding is an understatement I truly mean that! 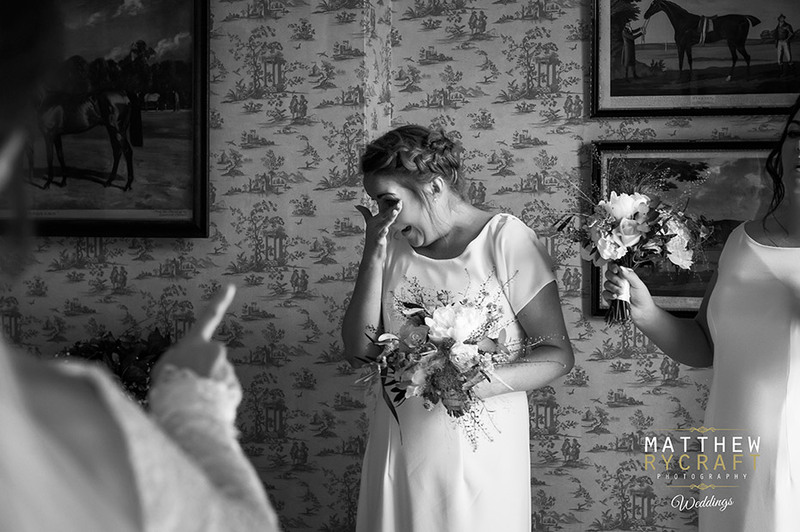 From the moment we went to view the hall I knew it was the one I actually cried when we left after viewing it because I loved it that much. 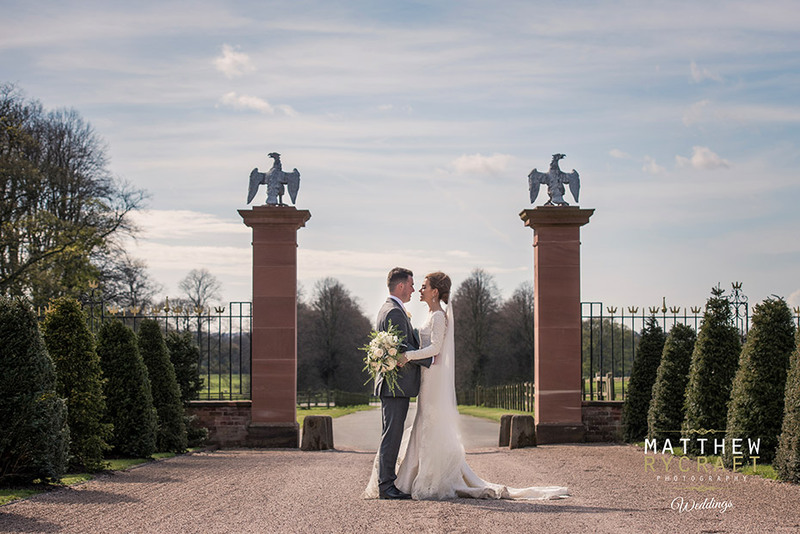 From the moment you enter those gates you are transformed to a different world. 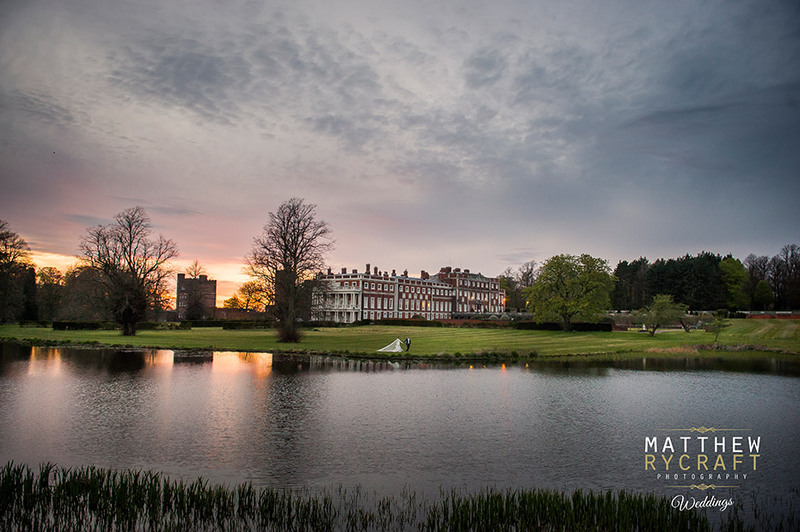 When you drive through the stunning grounds, you feel like you have gone back decades to a place described in an Emily Bronte novel. 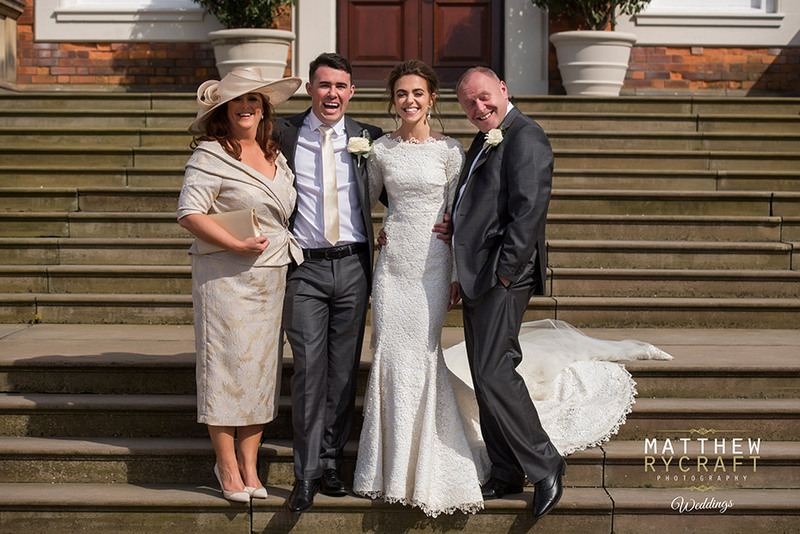 "The staff are truly fantastic, so welcoming, professional, friendly, nothing was too much. 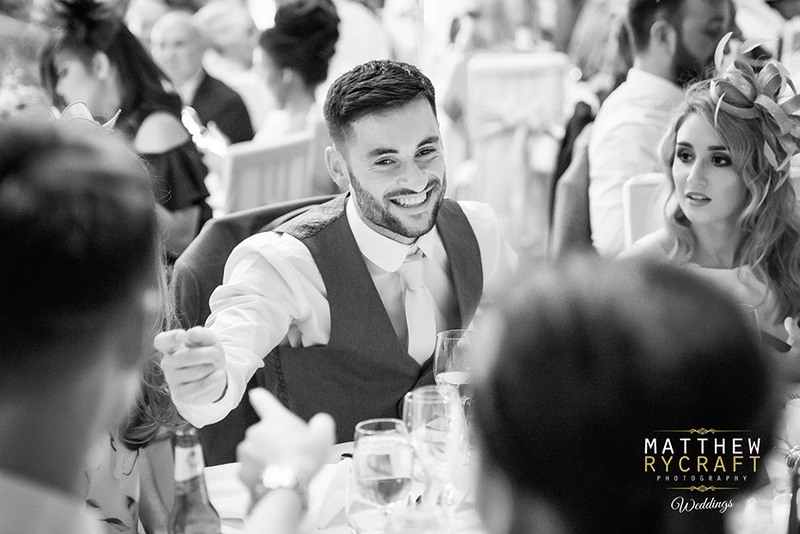 Wayne Parker (events manager) was an absolute superstar on our wedding day, everything ran so smoothly and professionally. 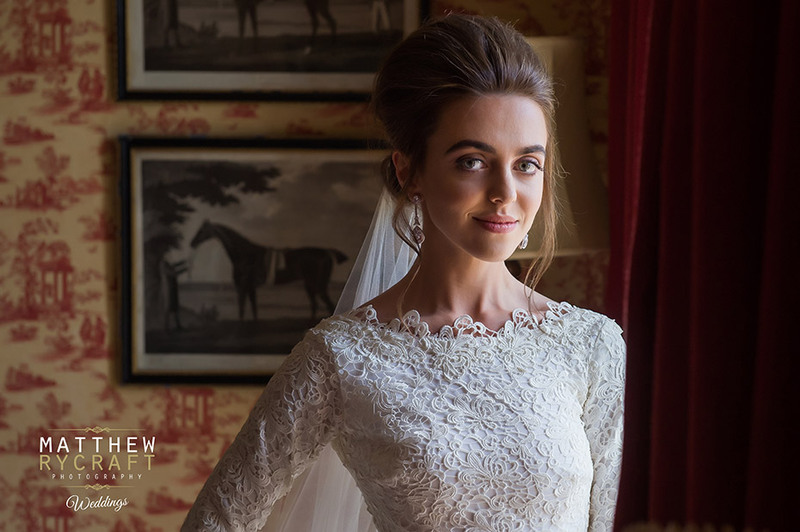 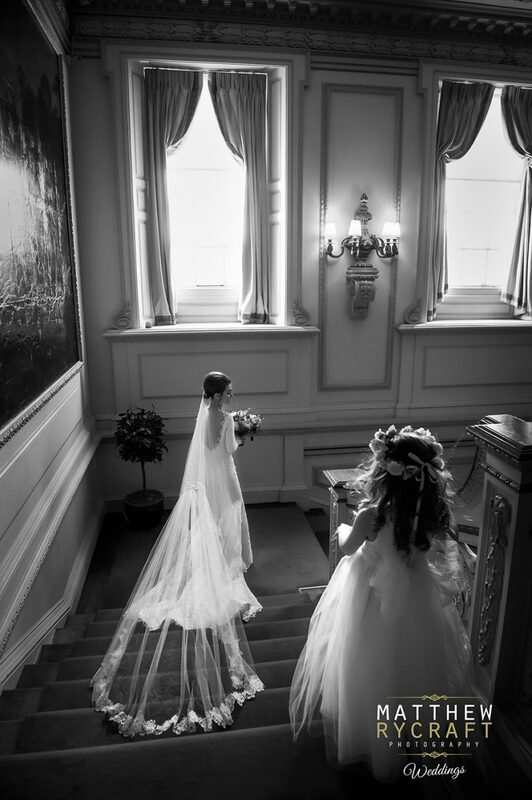 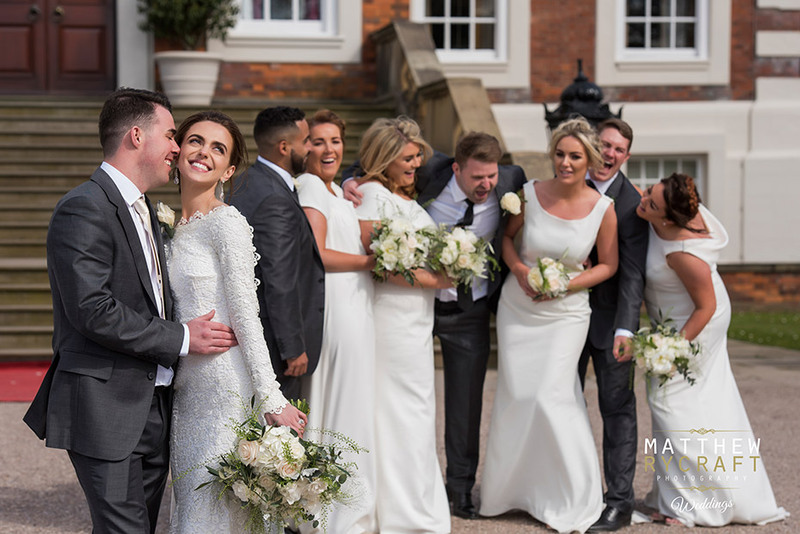 We truly cannot thank all at Knowsley hall enough for their impeccable service, professionalism, friendliness and hard work (making it all look so easy and effortless)." 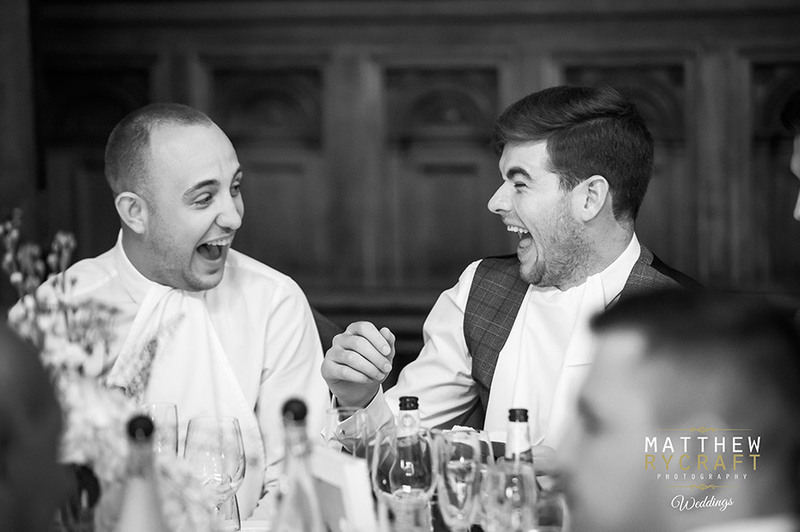 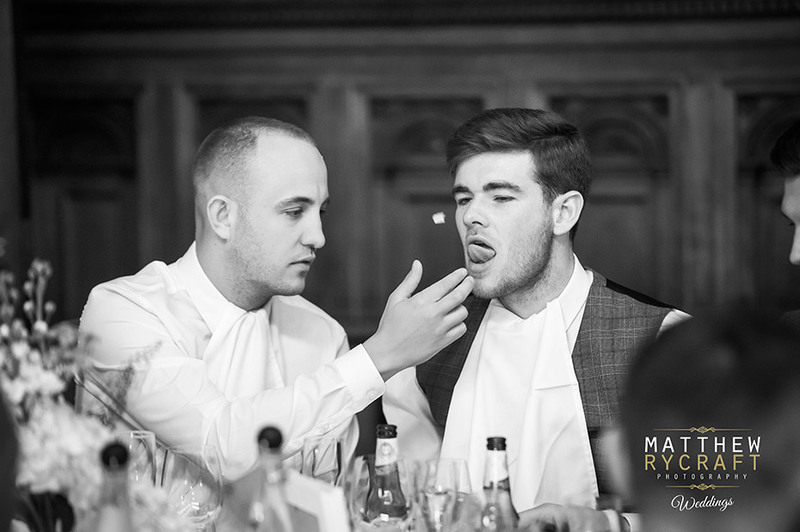 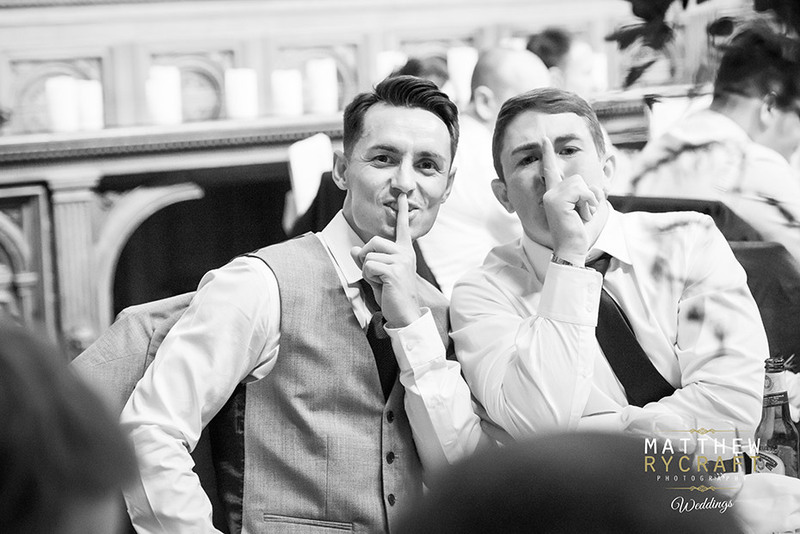 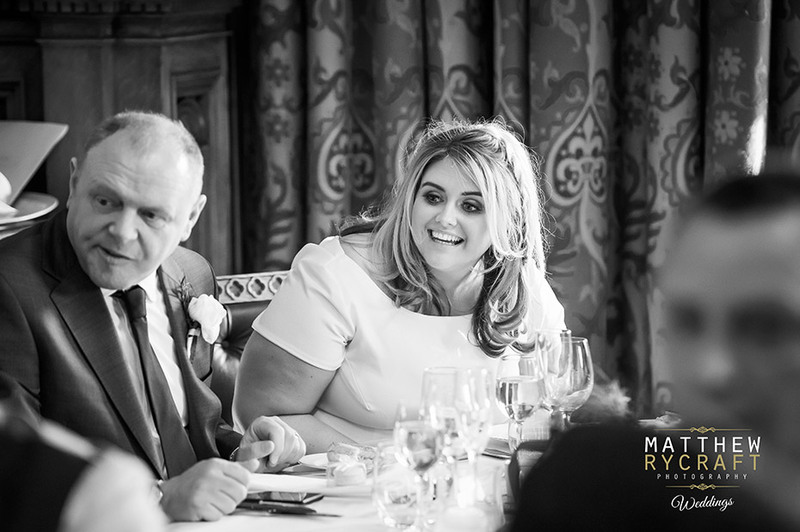 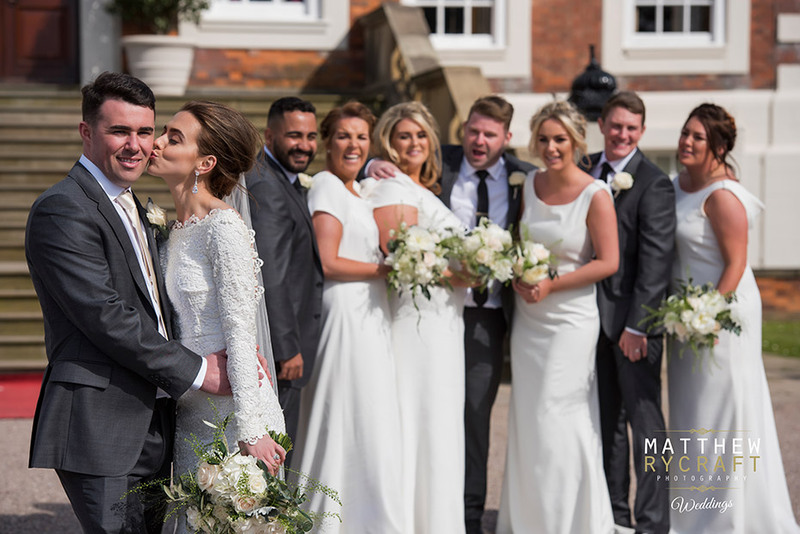 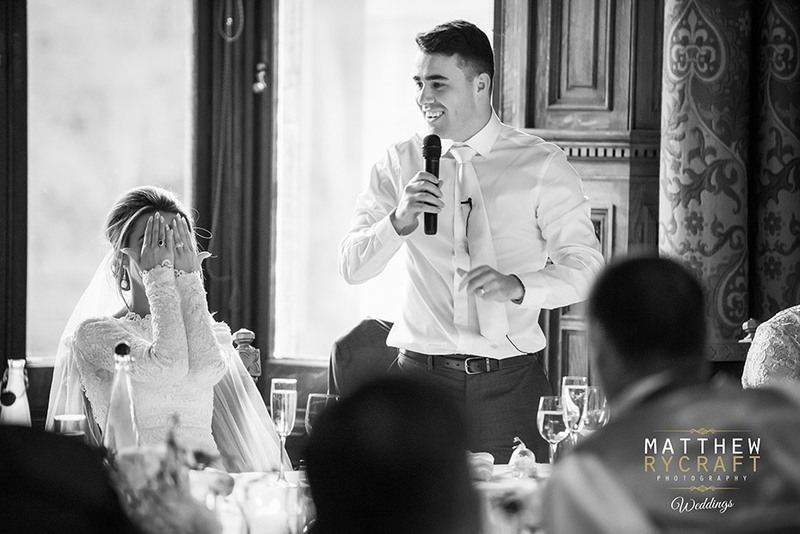 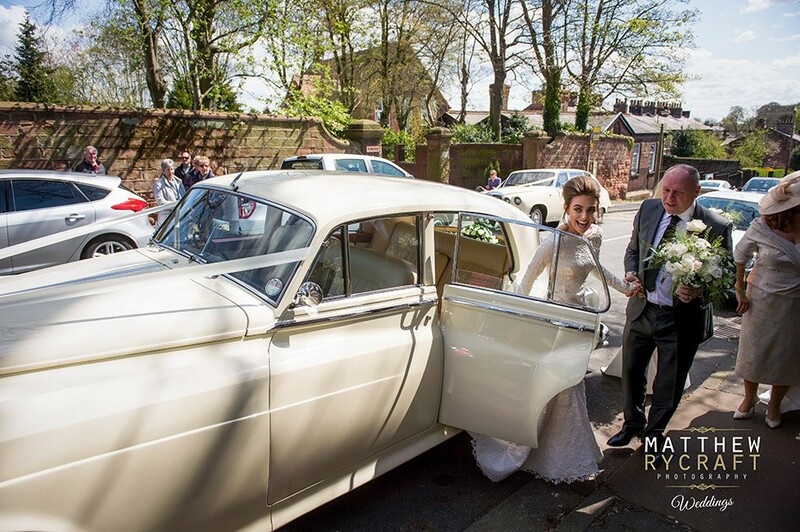 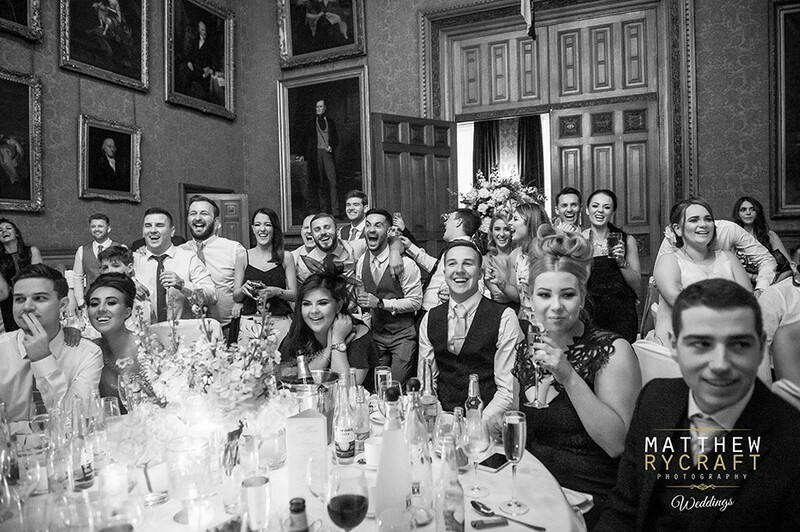 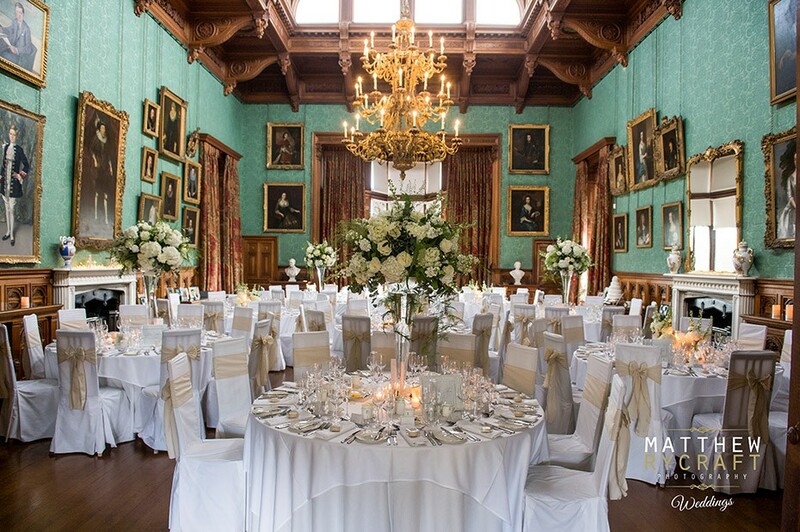 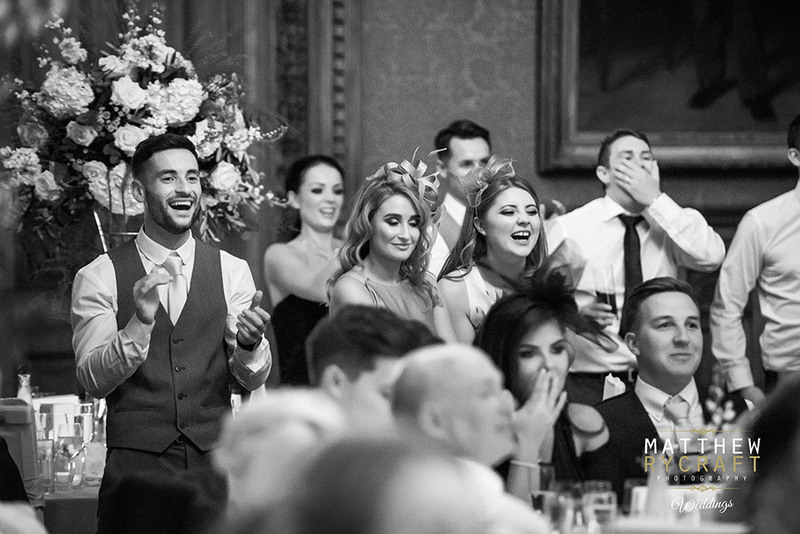 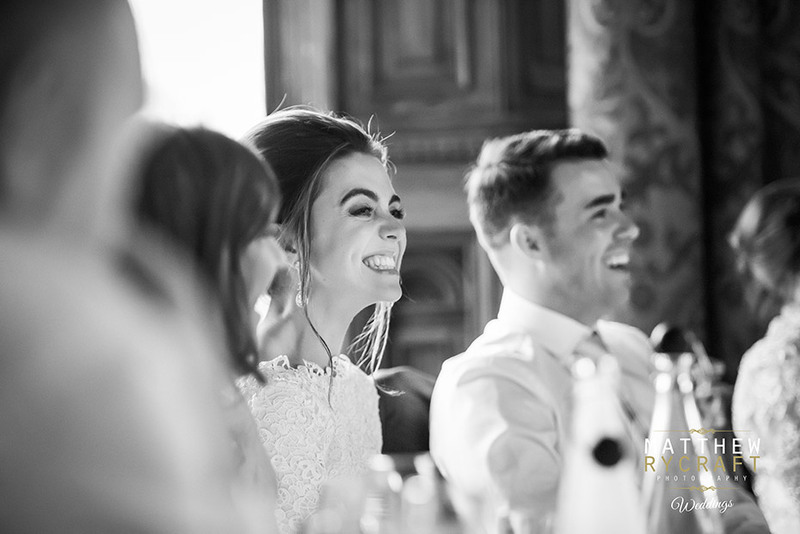 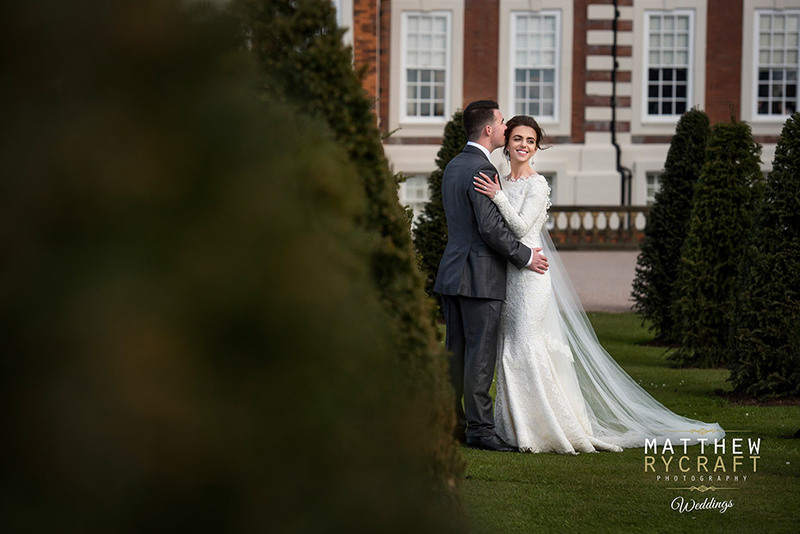 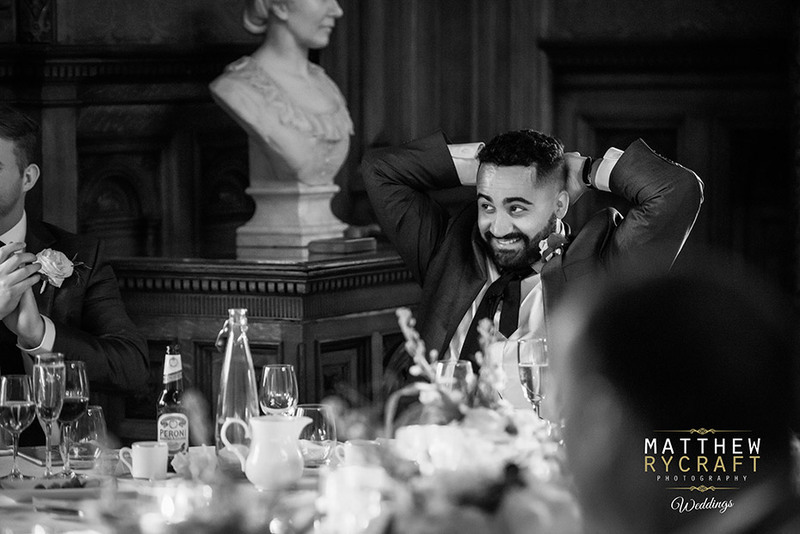 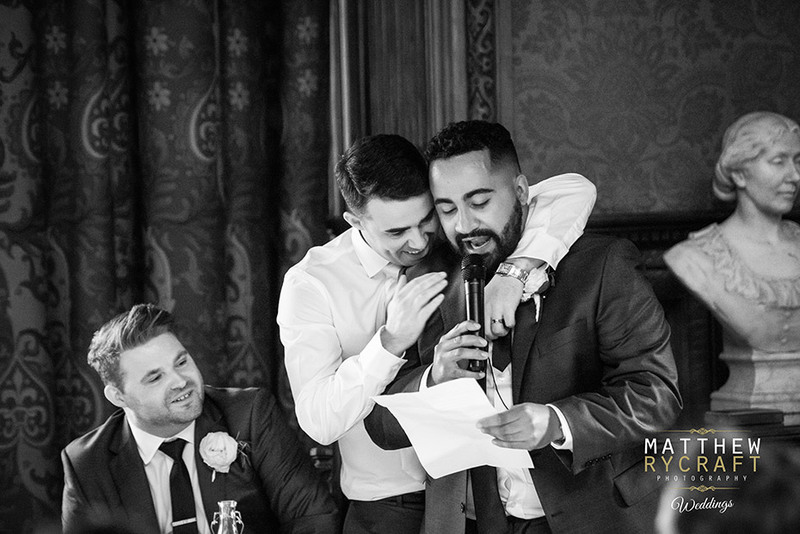 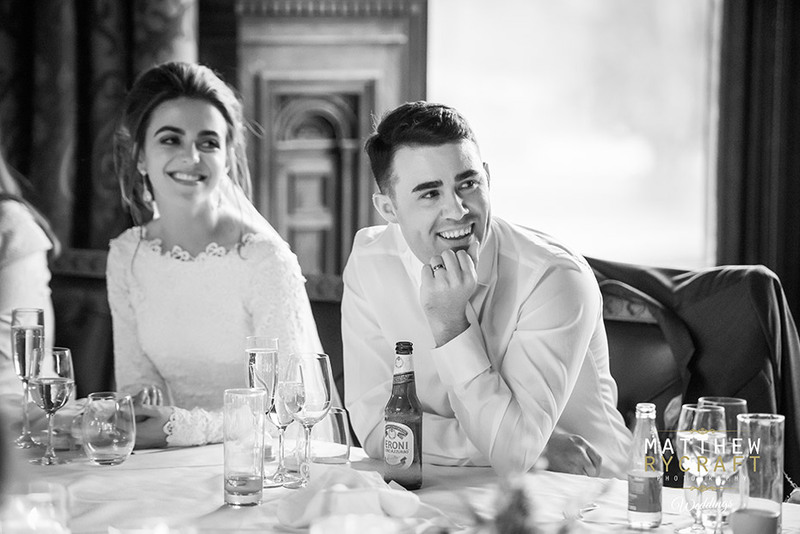 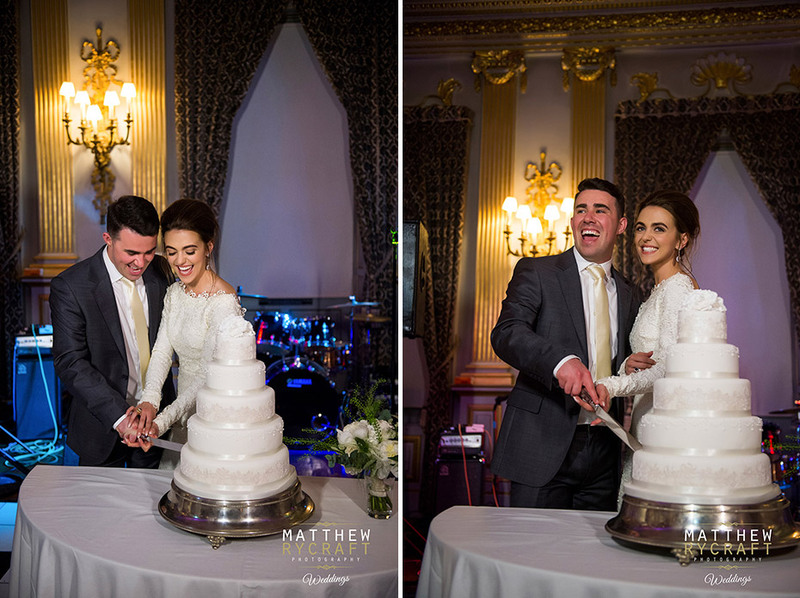 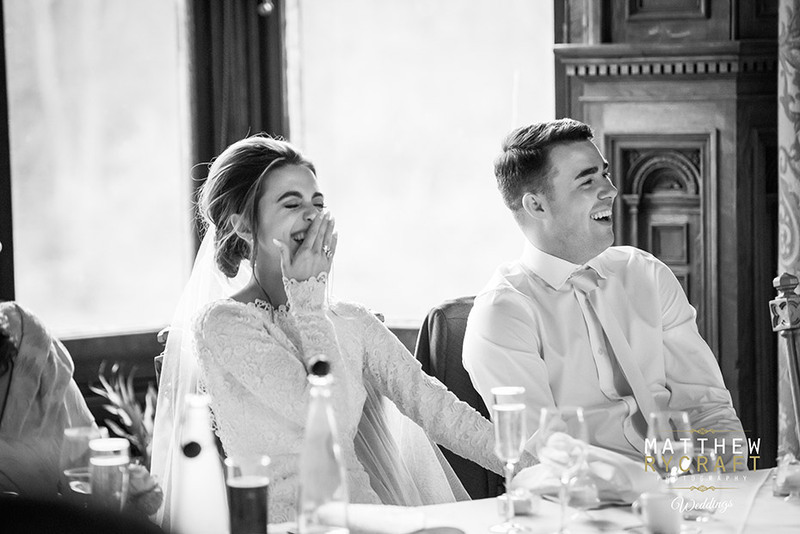 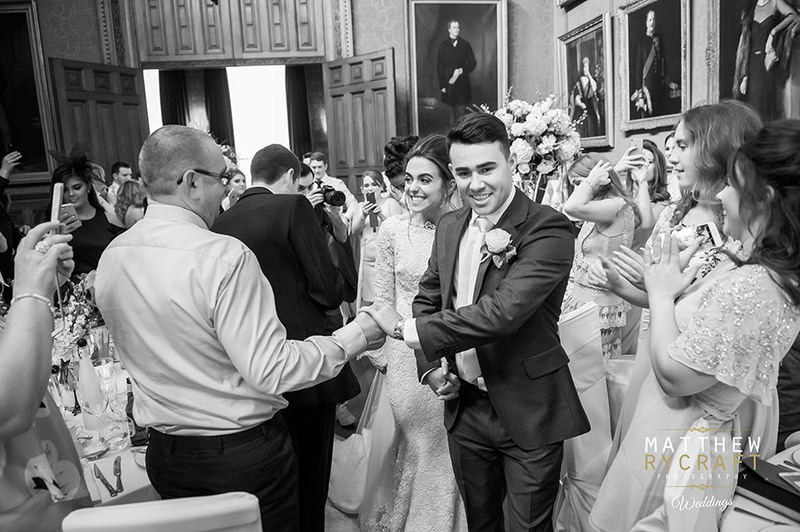 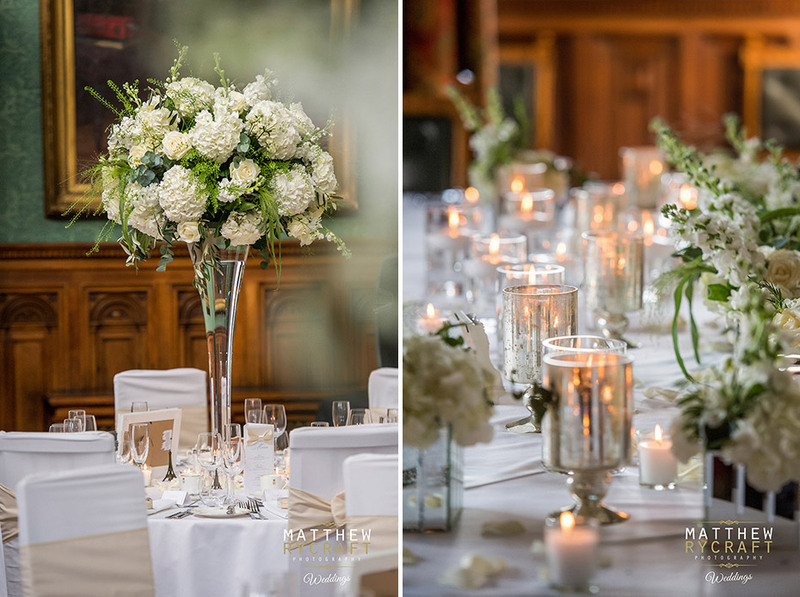 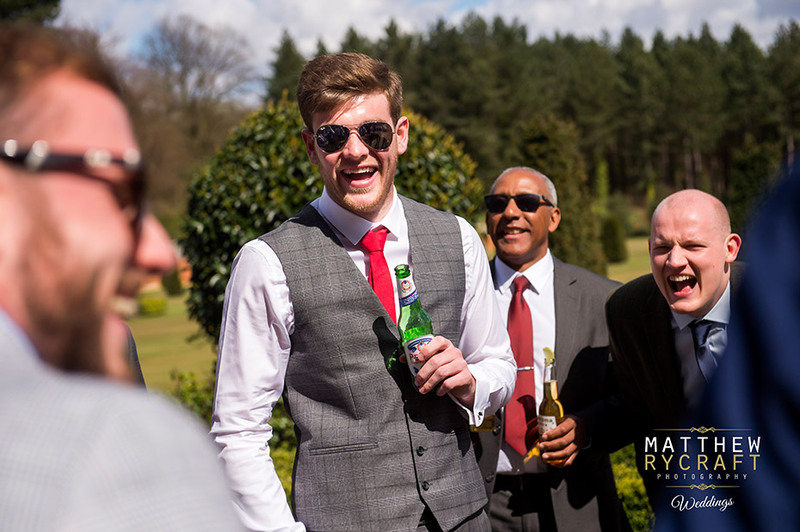 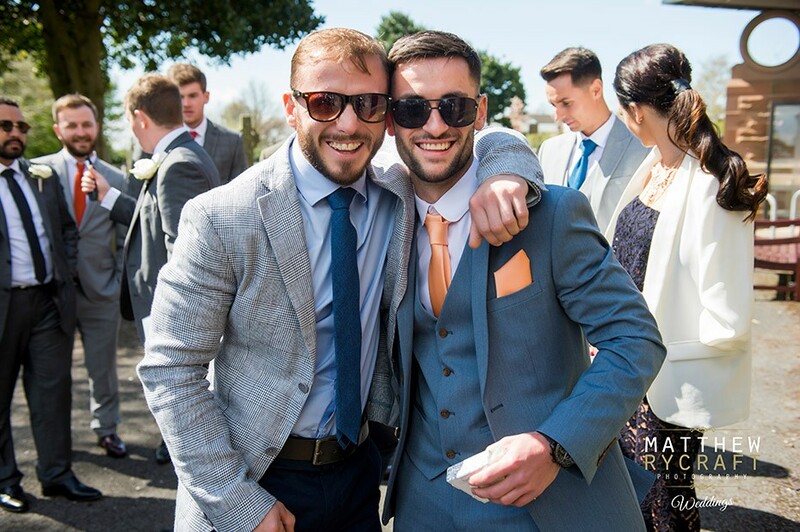 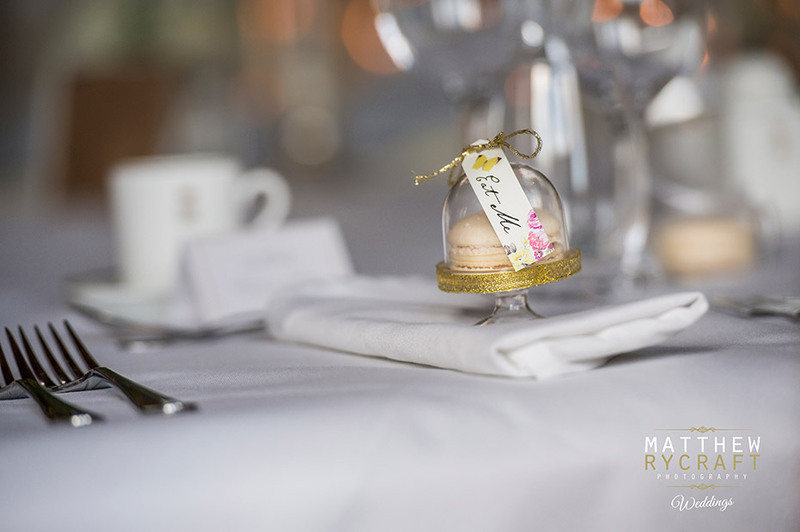 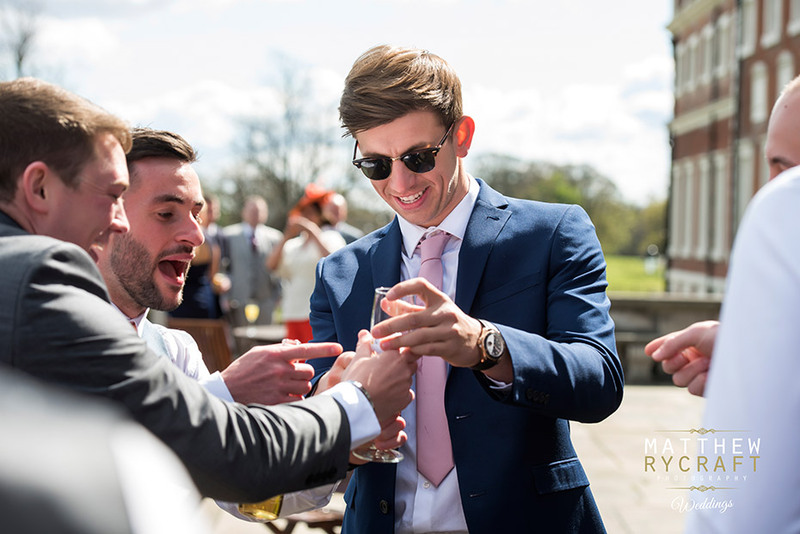 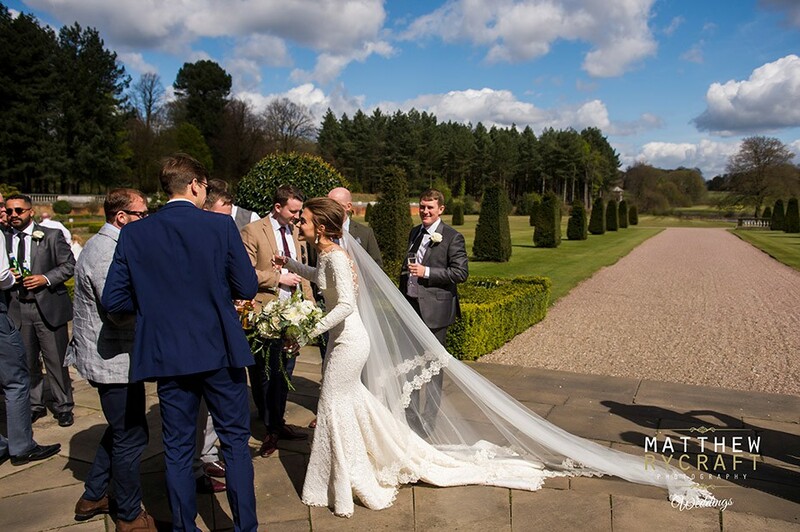 Michael, "The food was absolutely beautiful I genuinely could NOT fault anything at Knowsley Hall, the location, the staff, the food or anything else about the place! 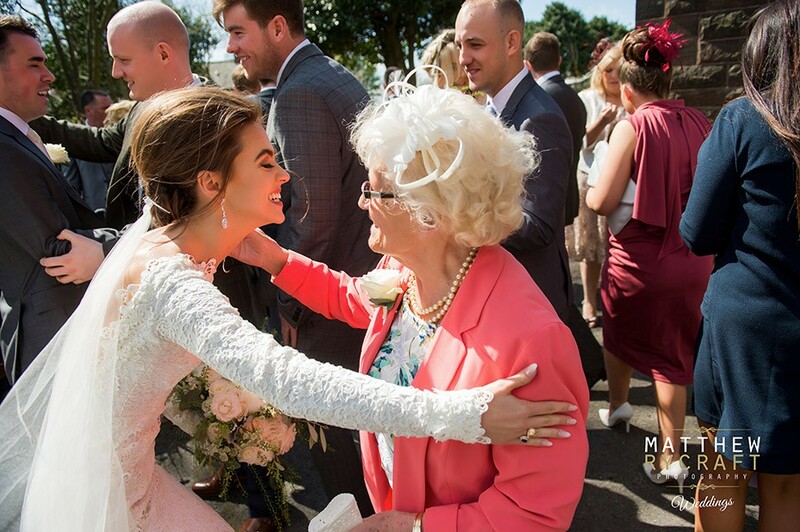 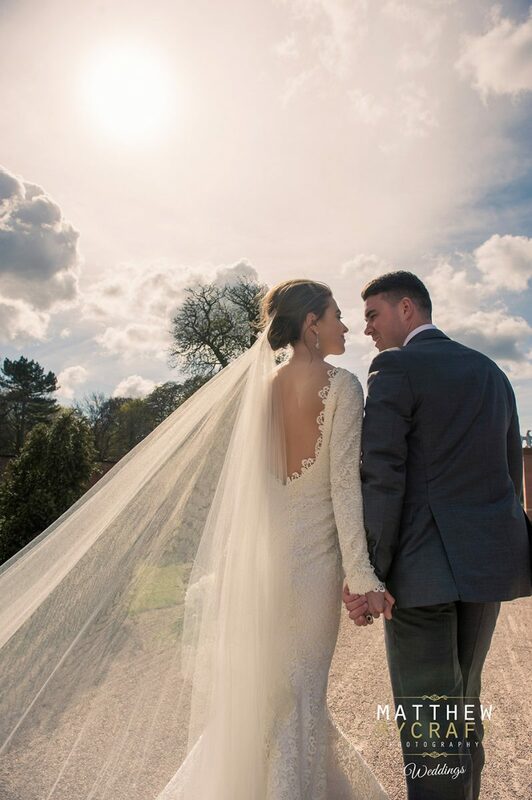 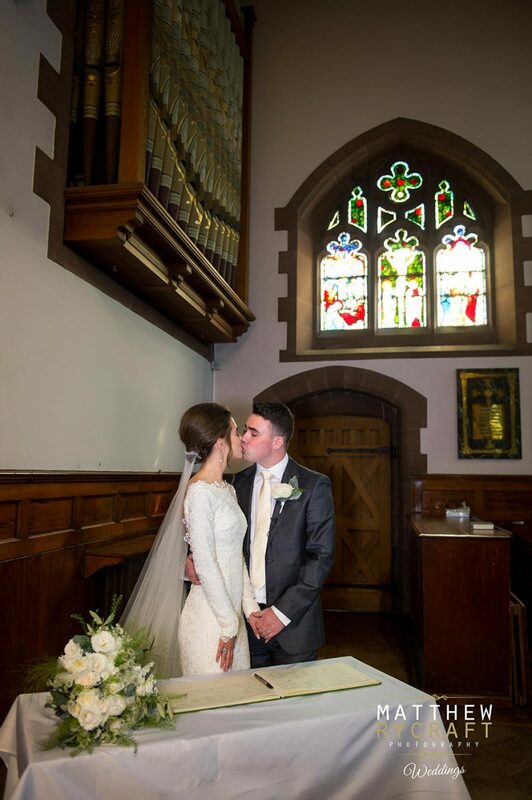 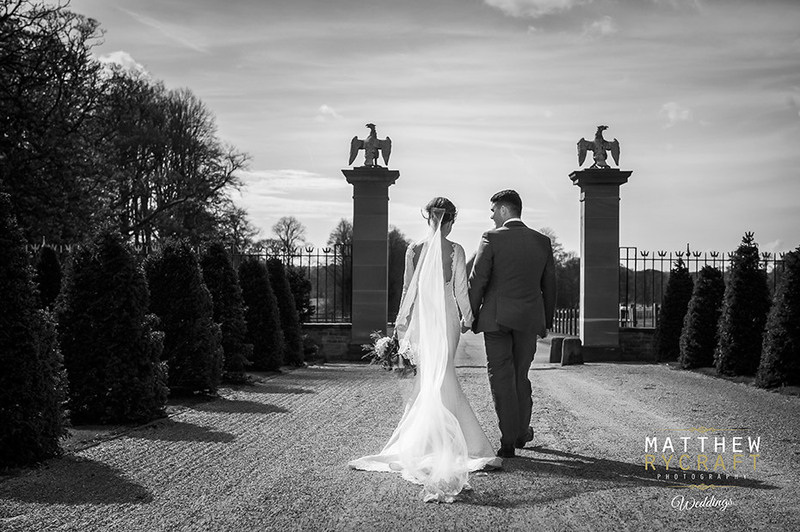 It will always be one of the most special places in our lives and I would highly recommend to every future bride and groom wanting a truly magical wedding day." 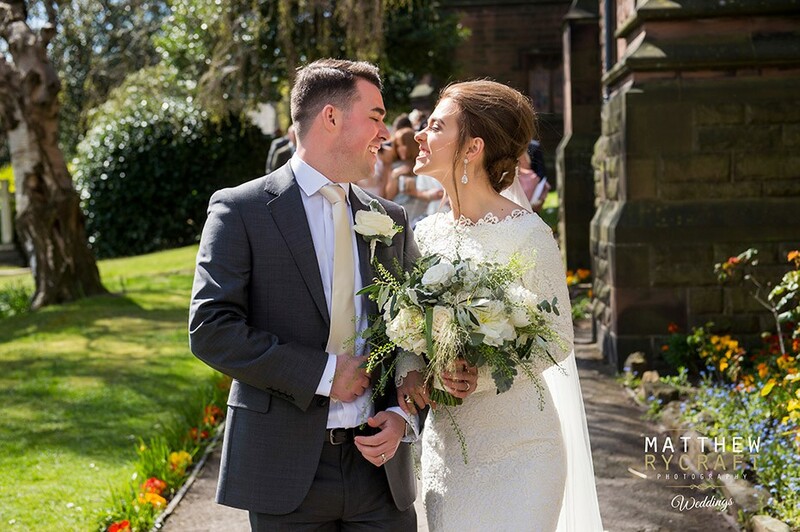 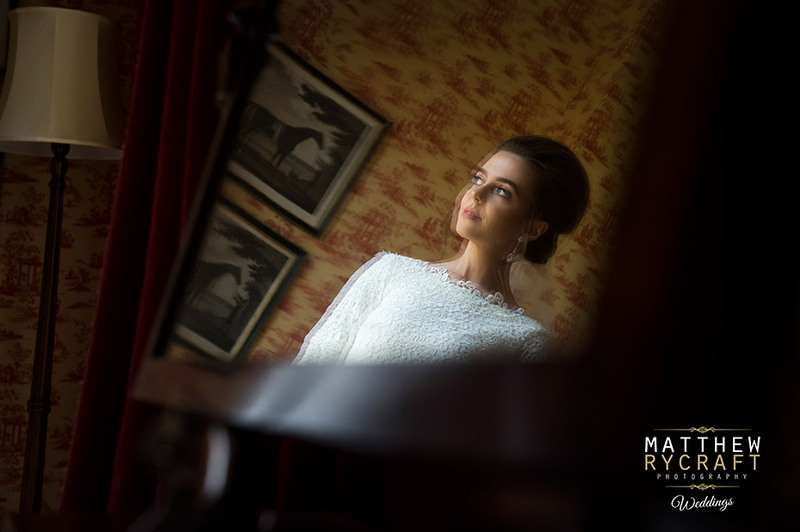 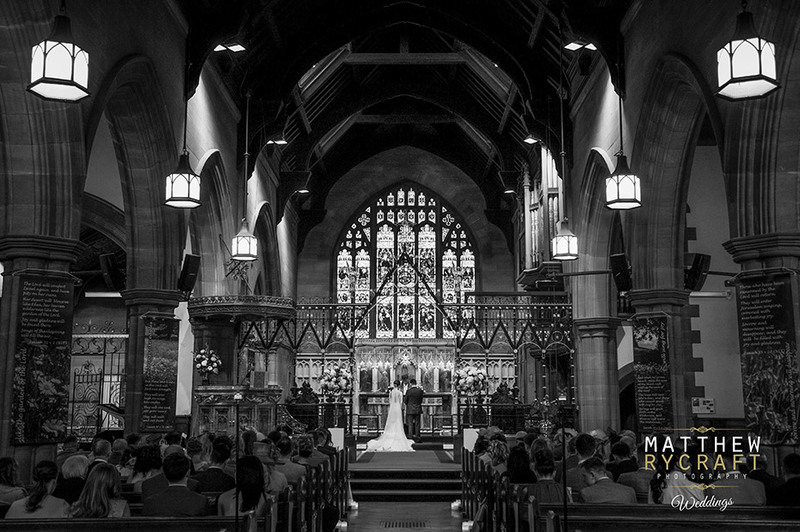 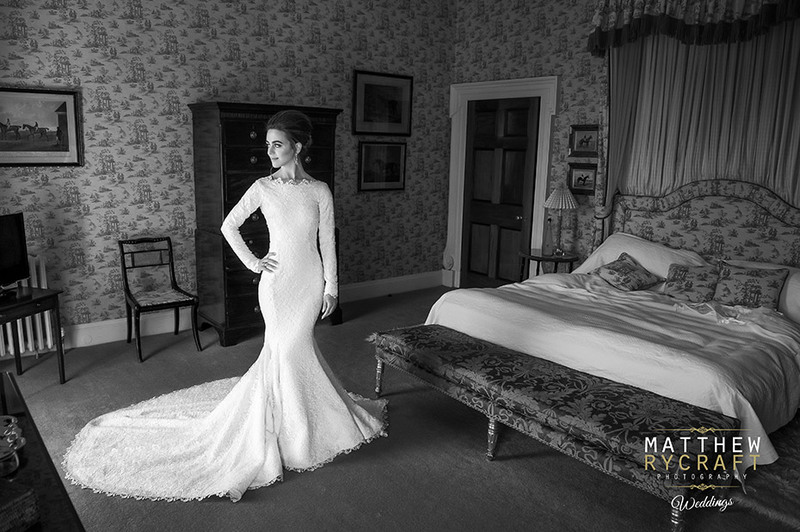 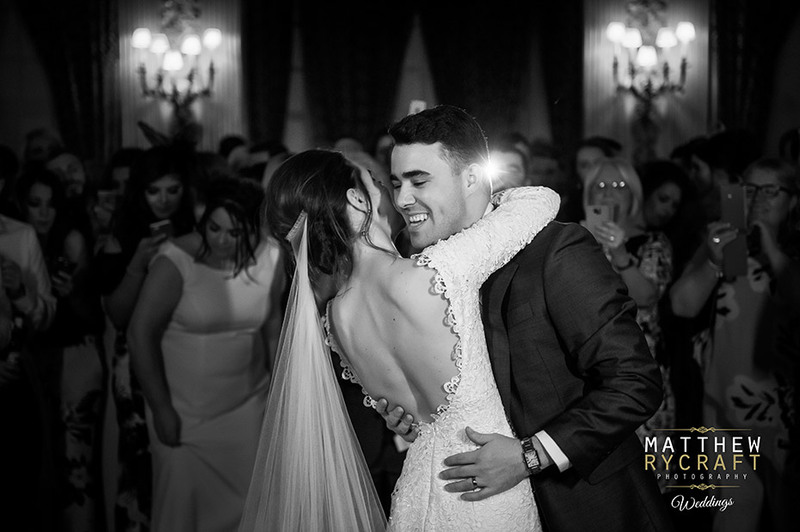 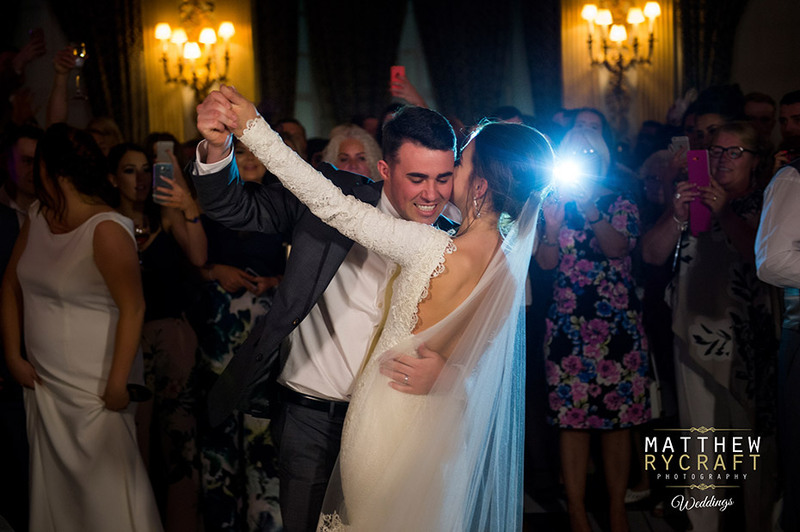 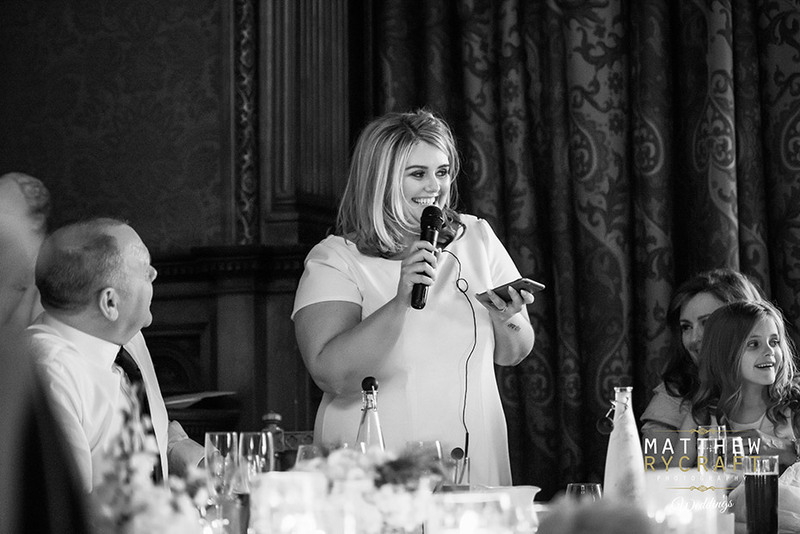 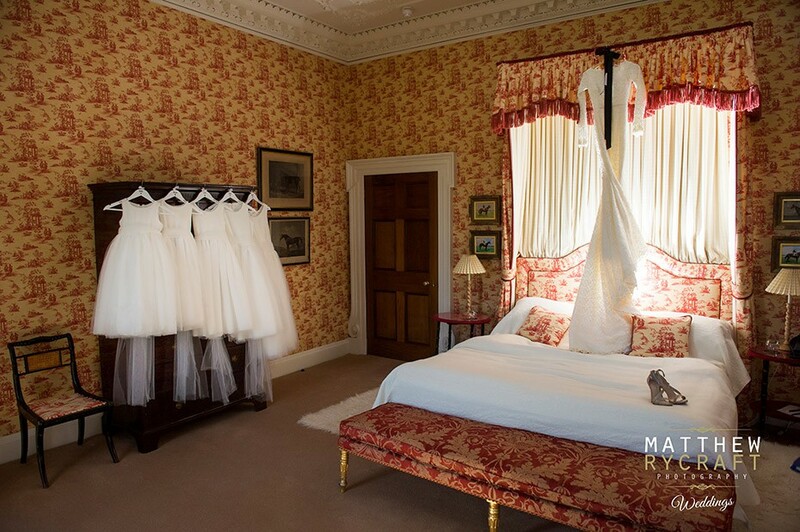 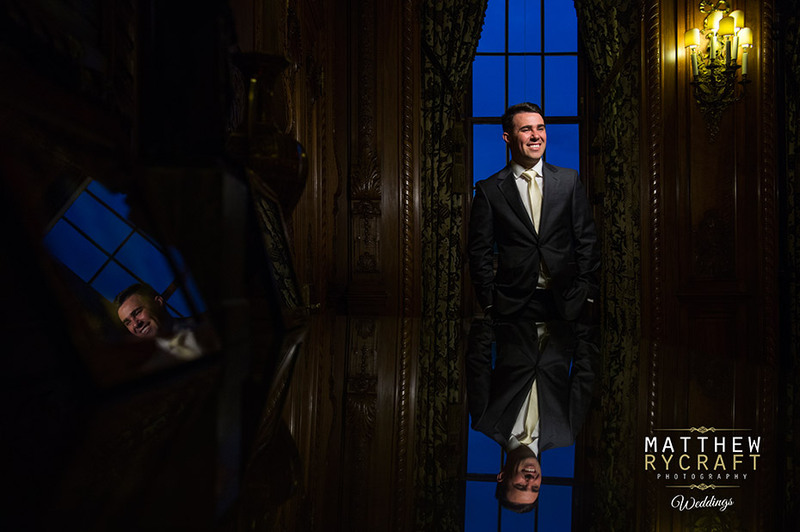 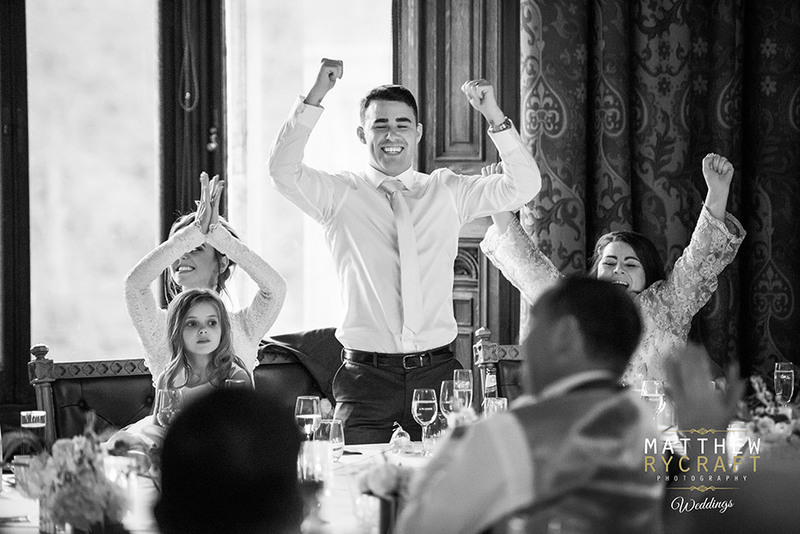 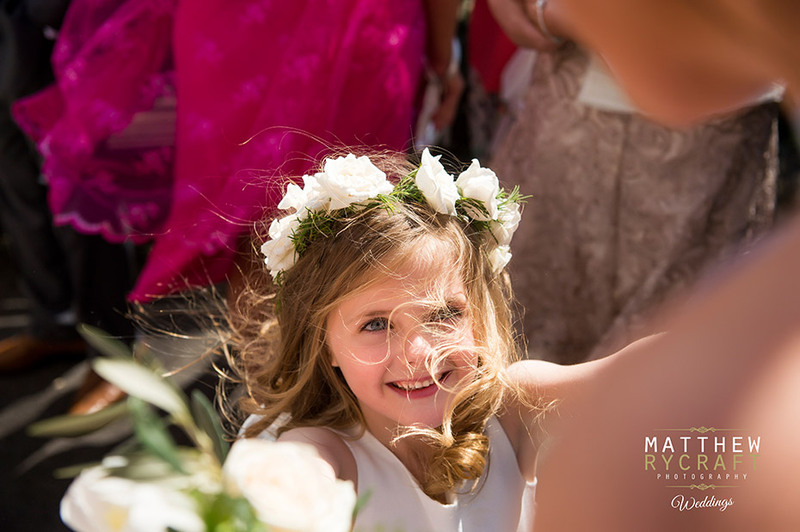 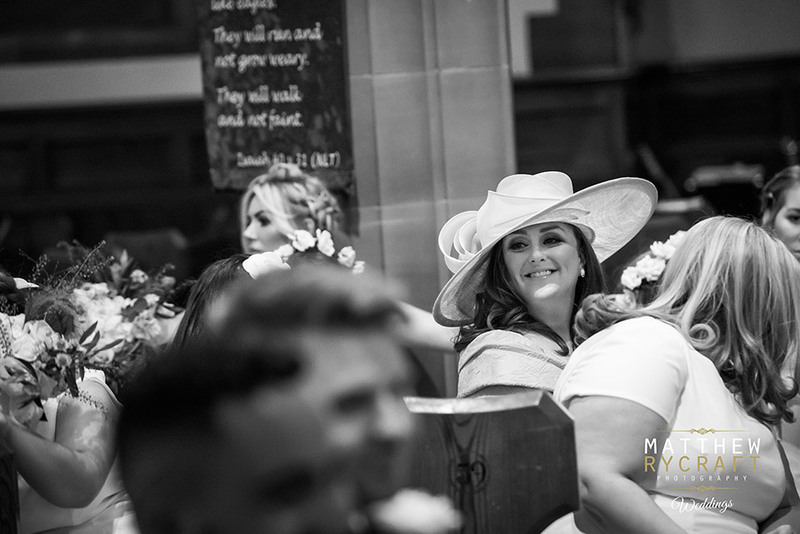 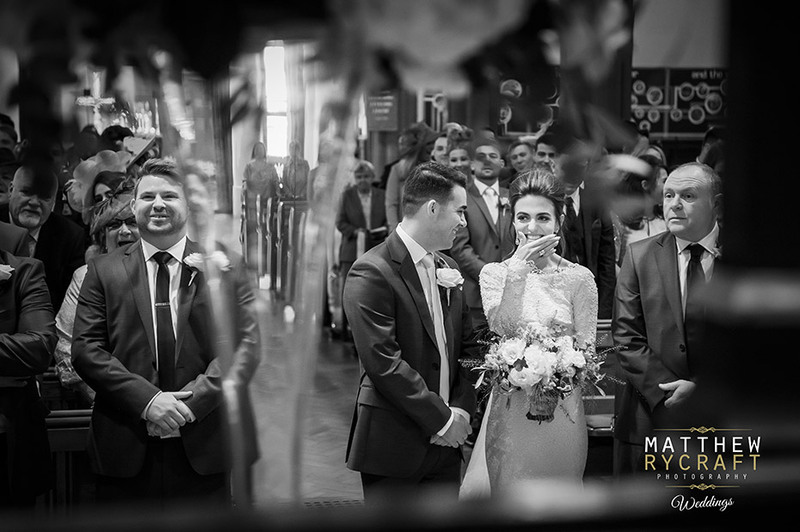 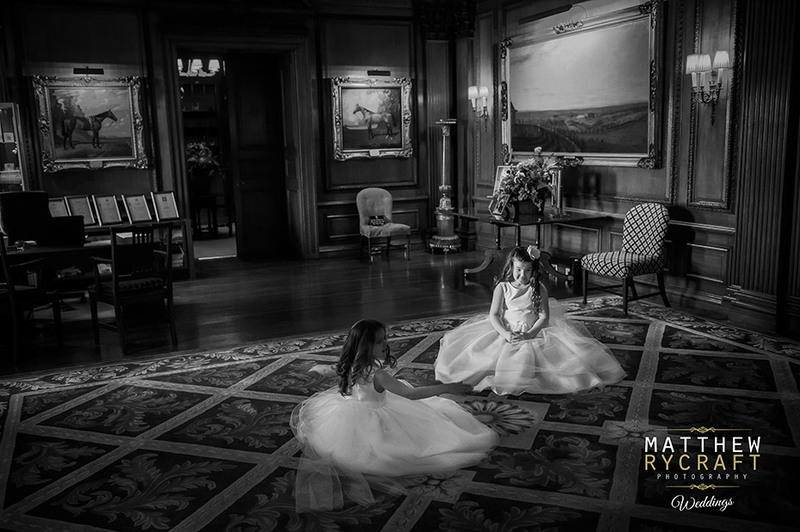 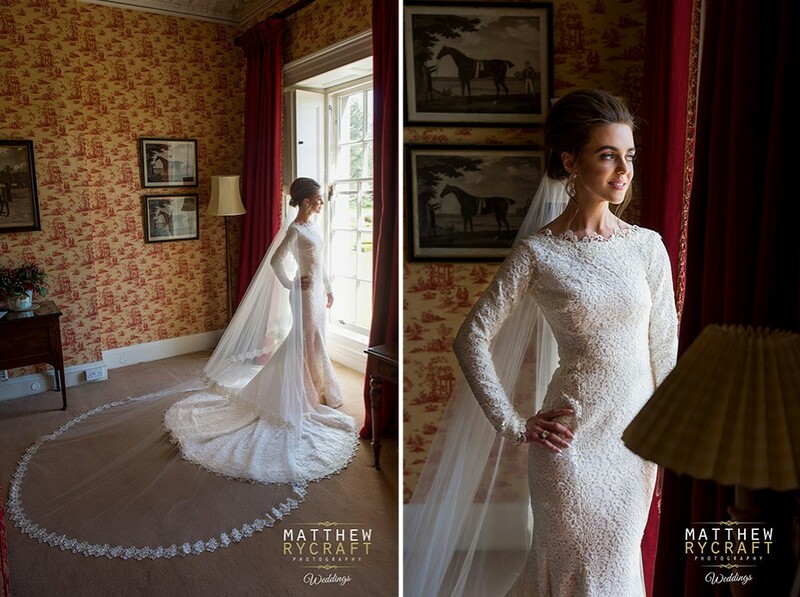 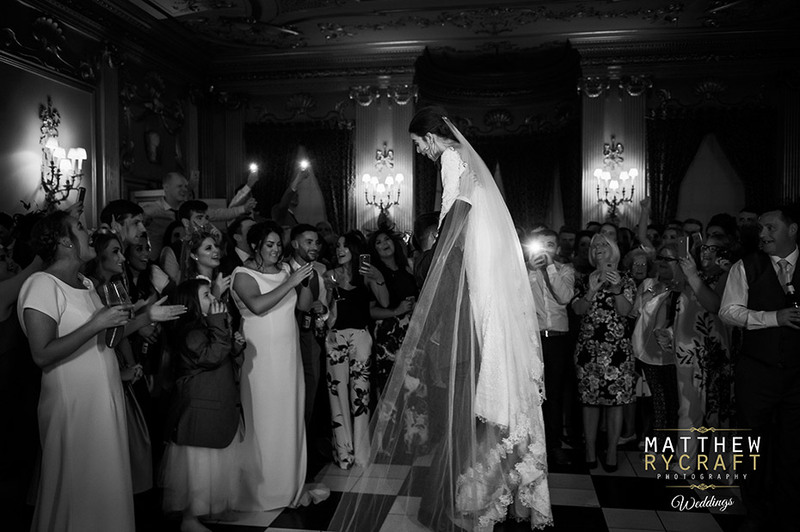 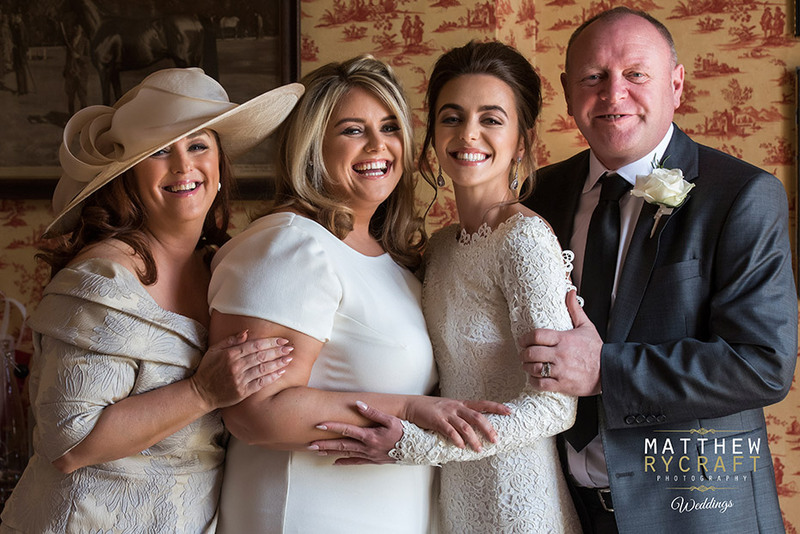 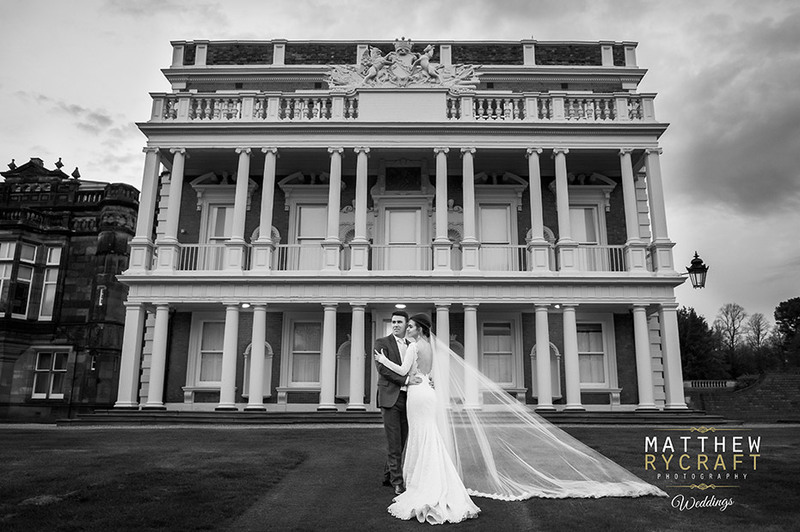 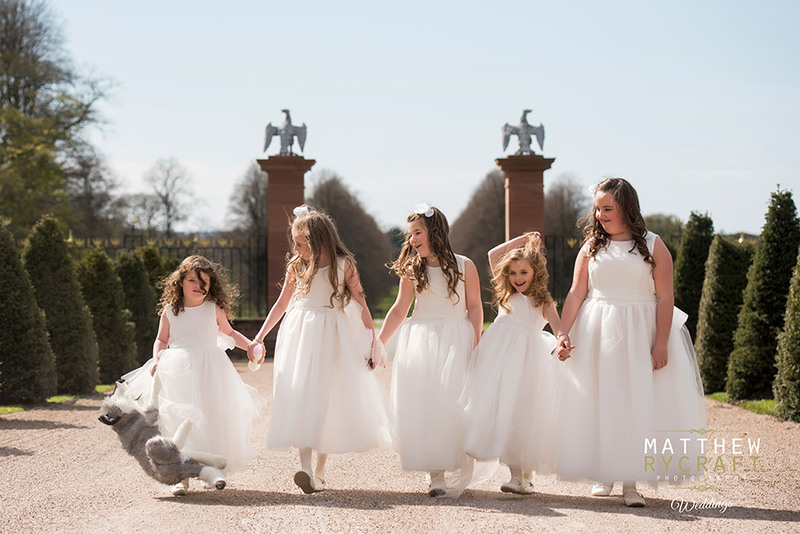 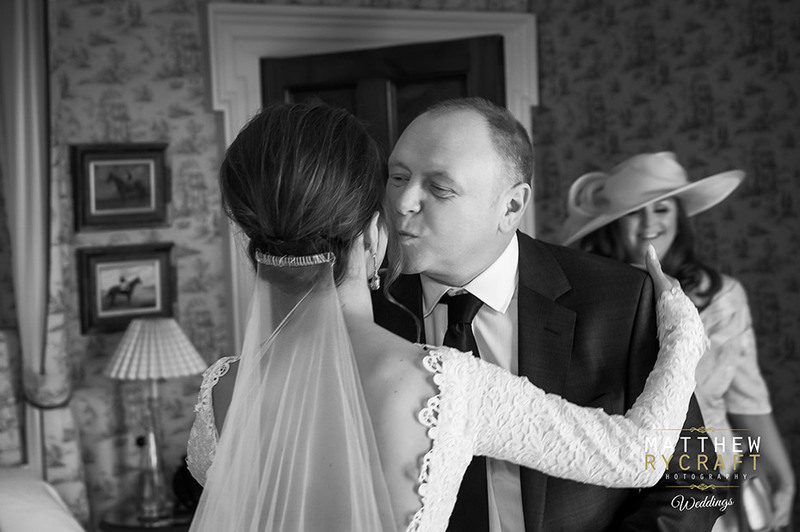 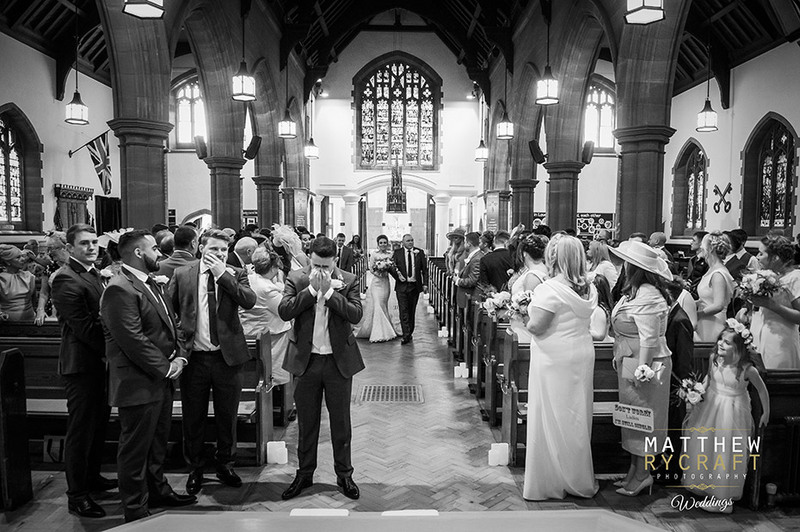 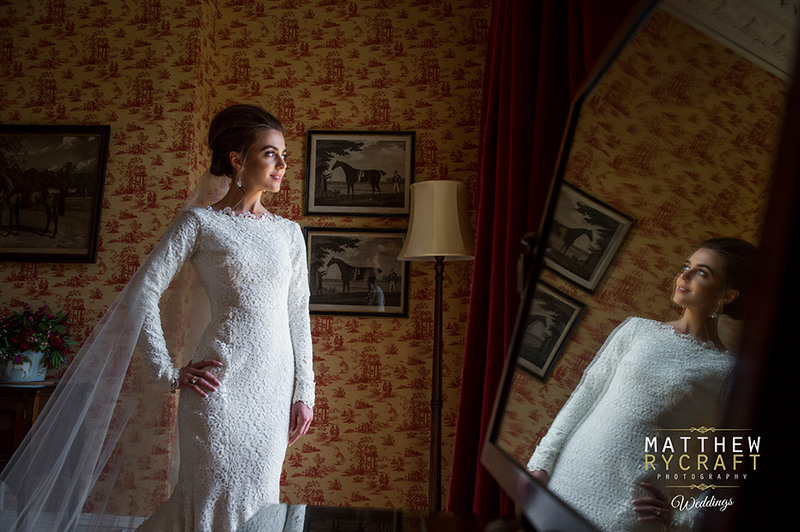 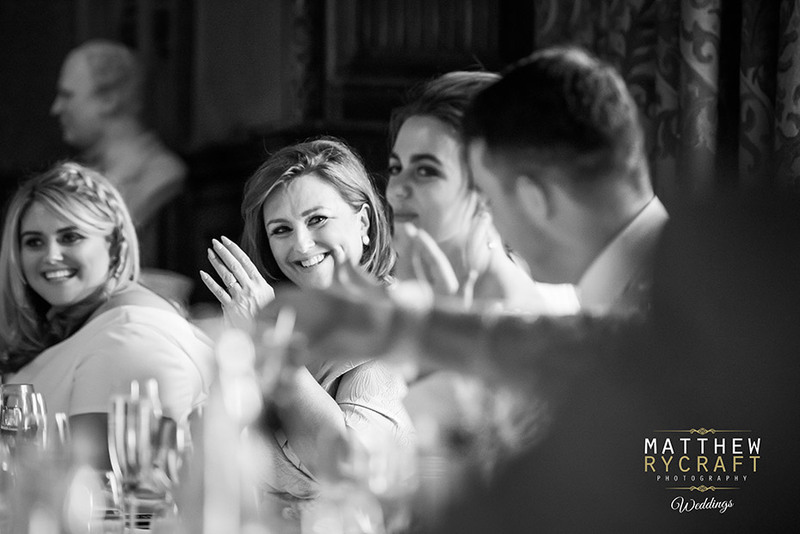 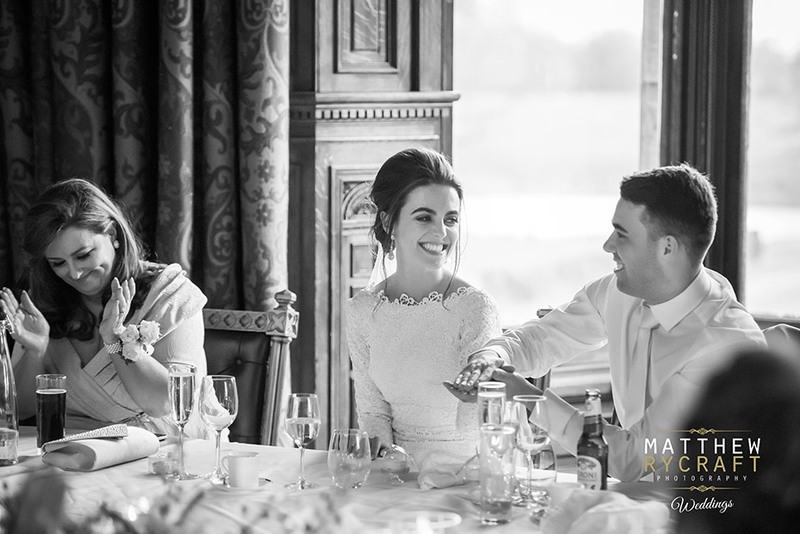 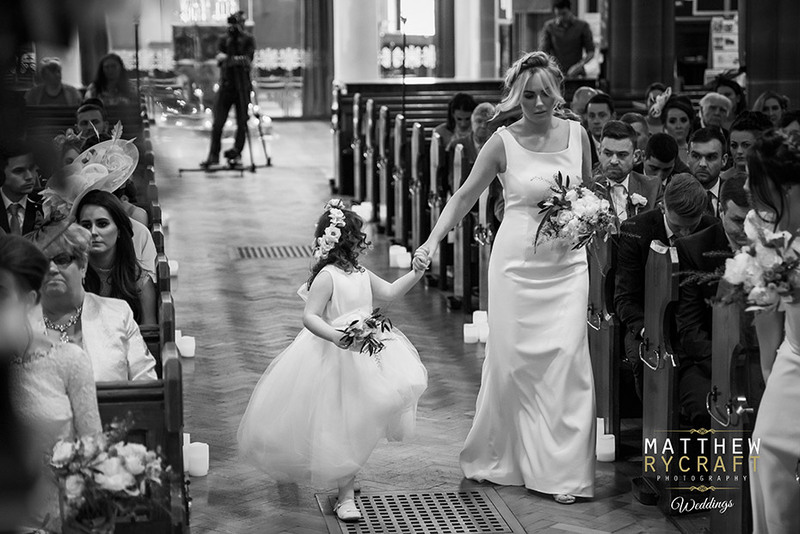 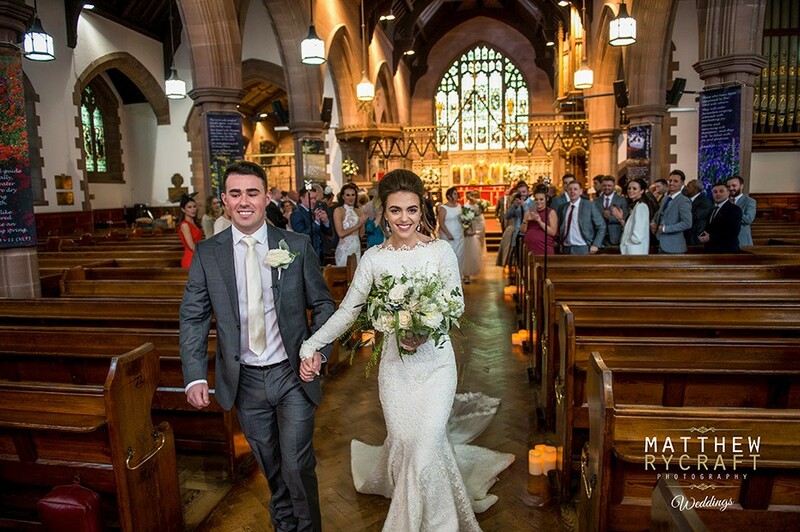 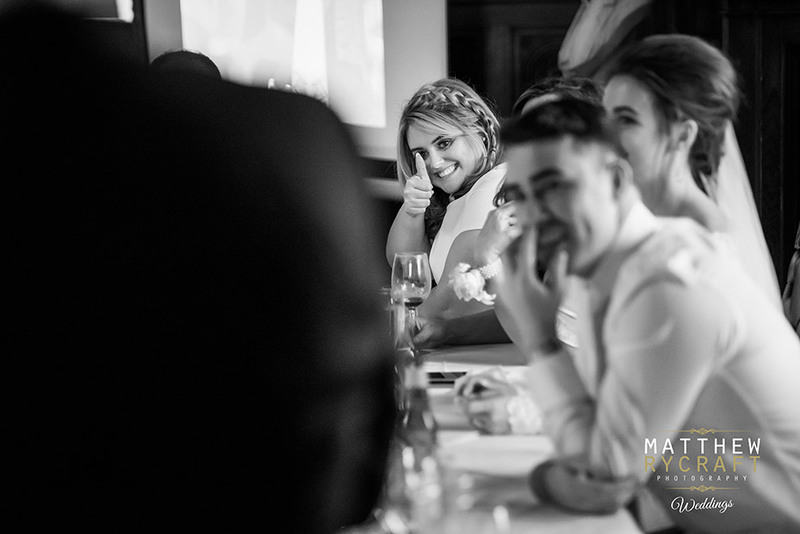 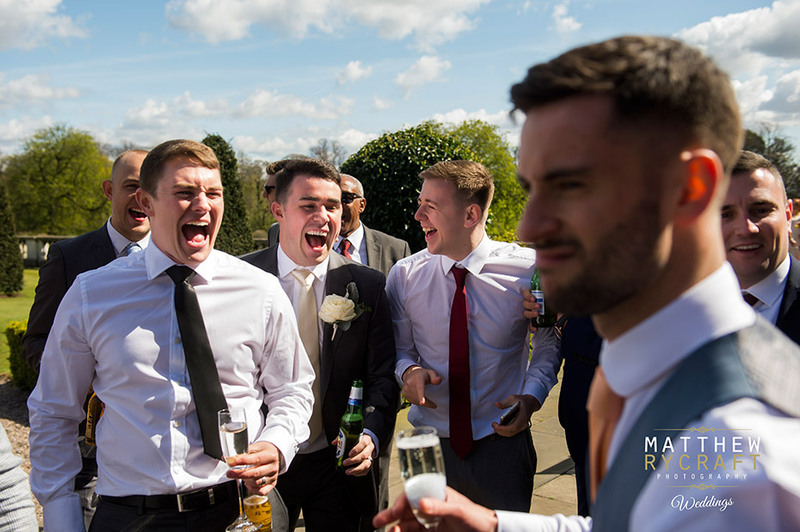 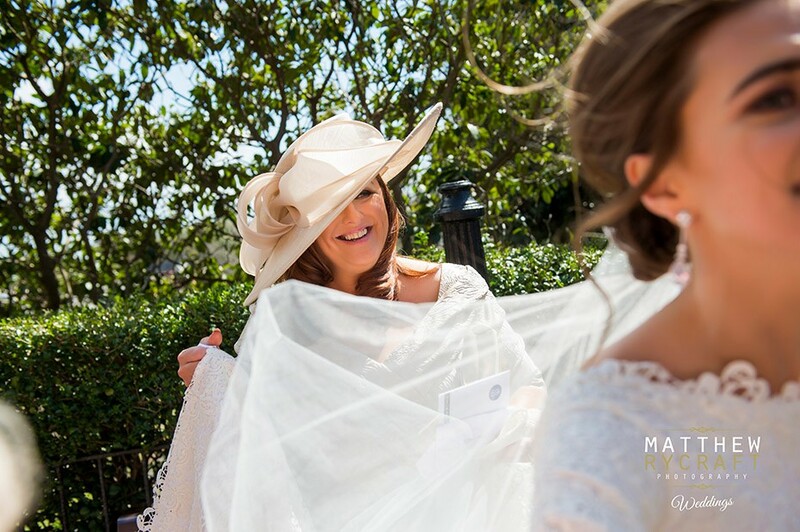 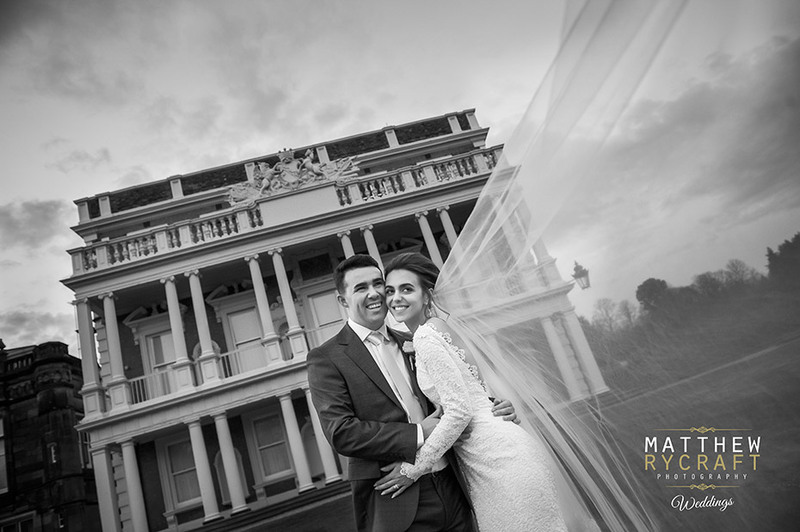 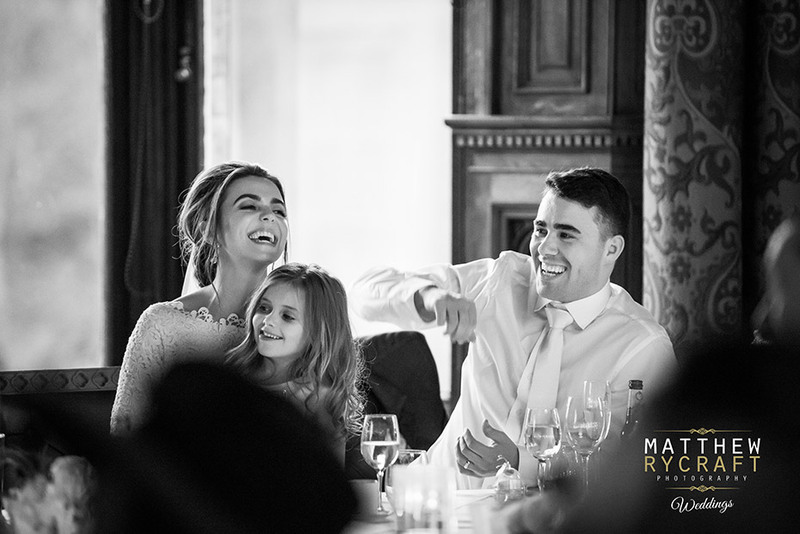 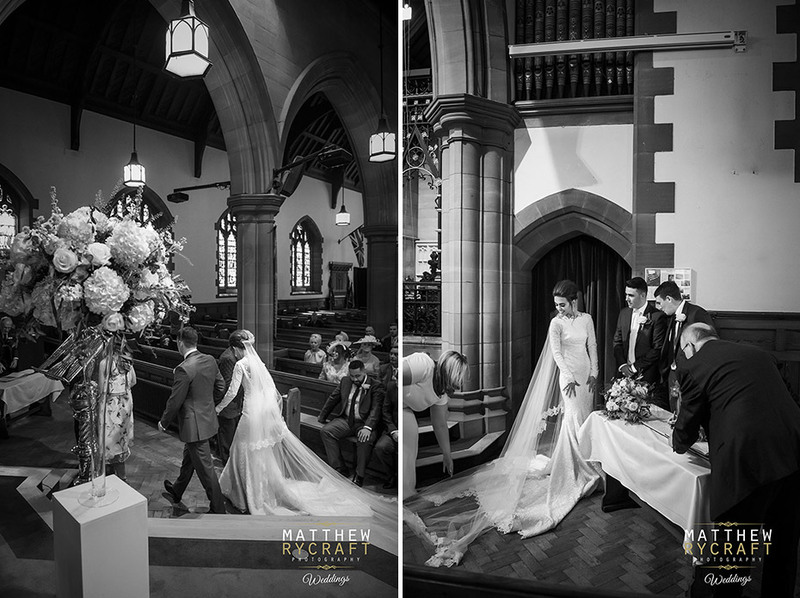 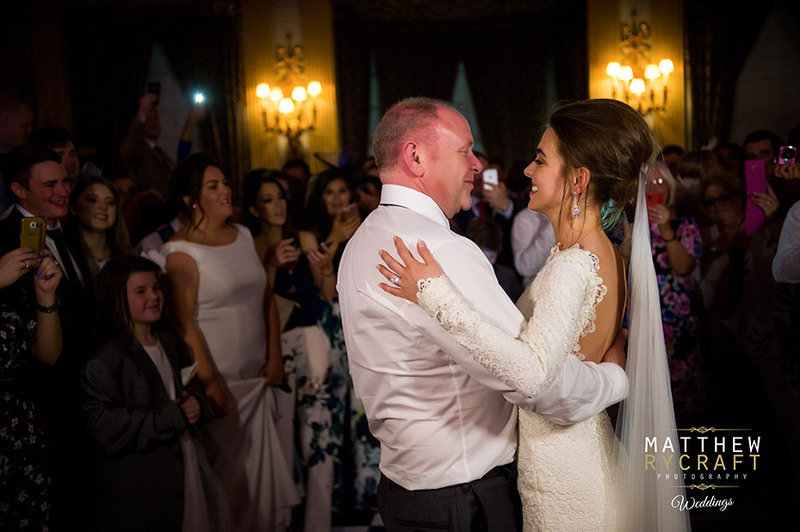 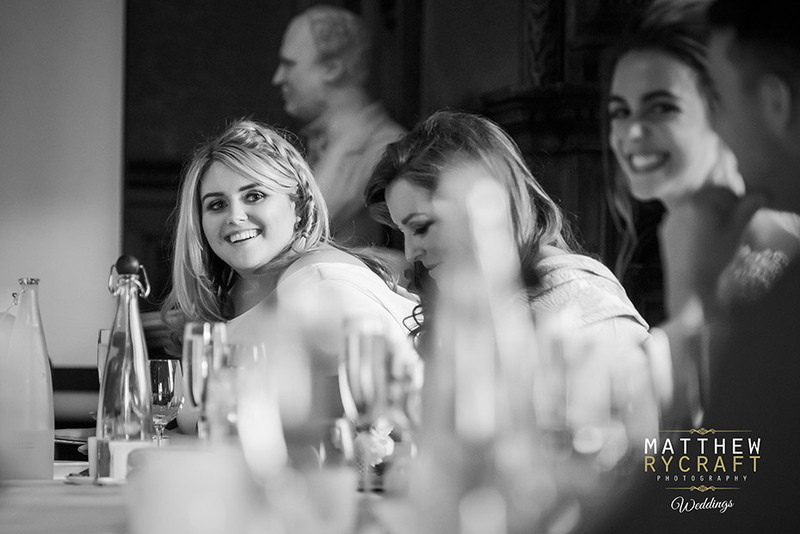 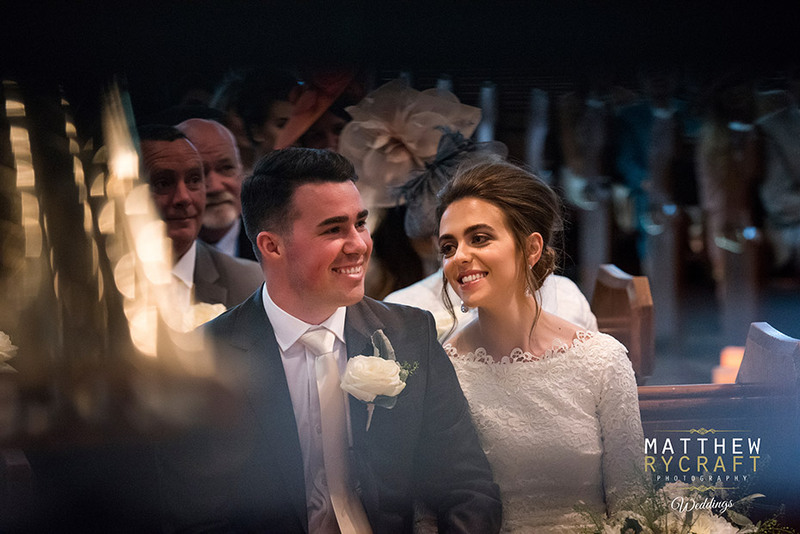 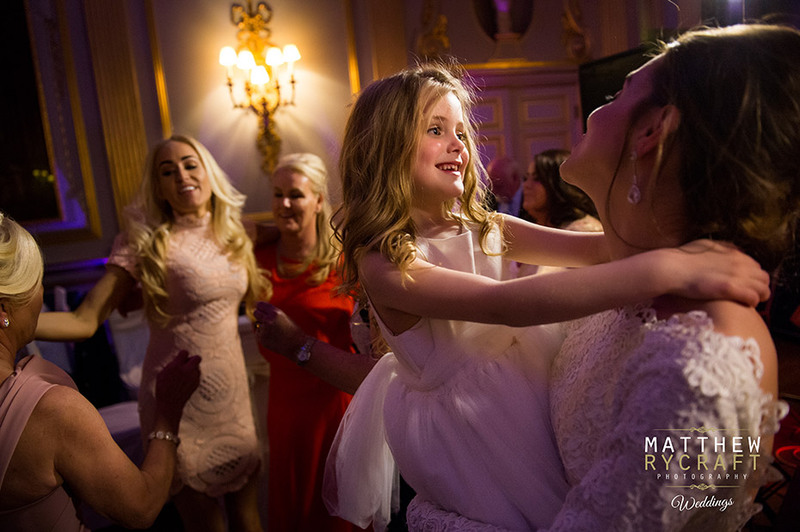 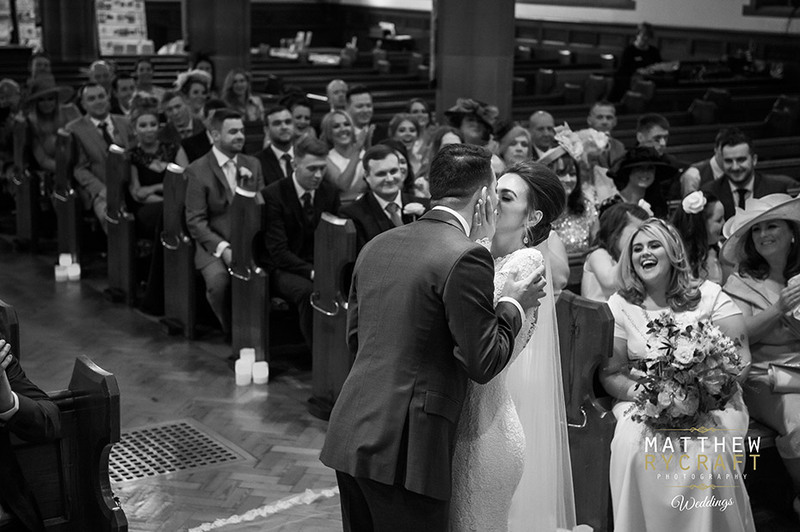 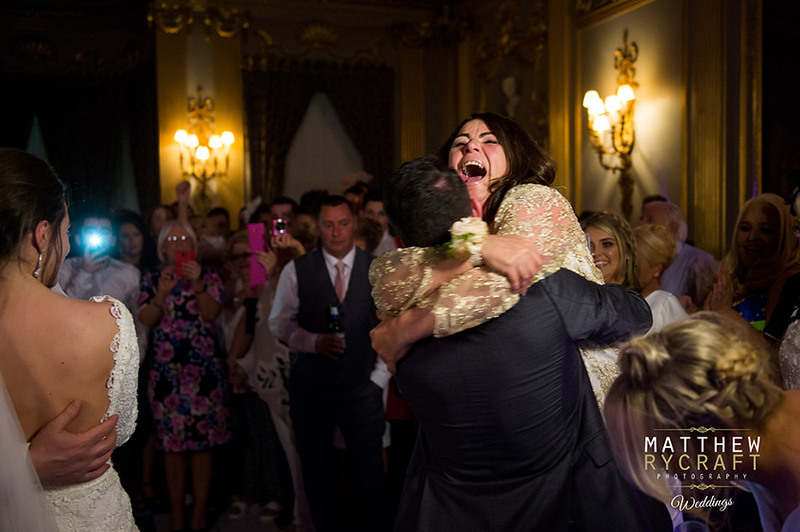 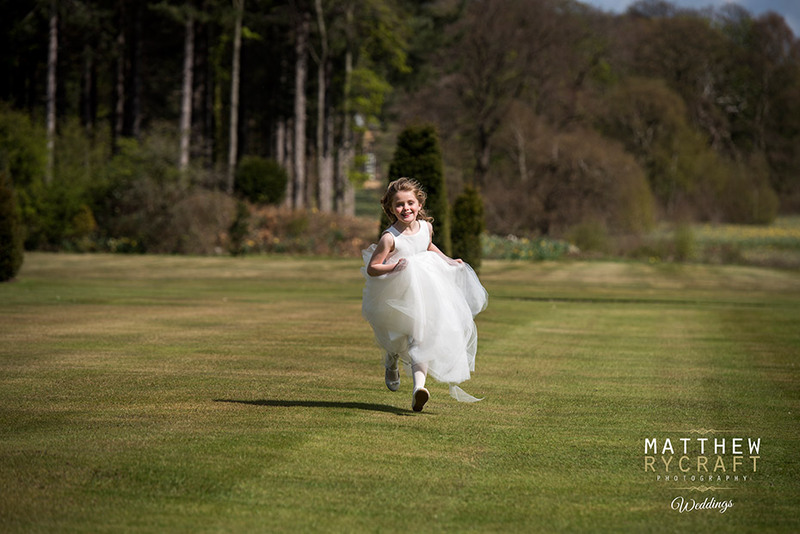 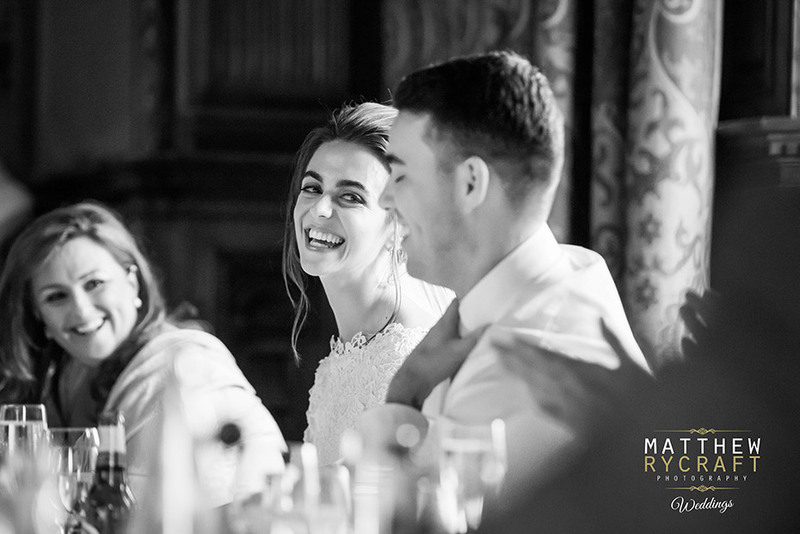 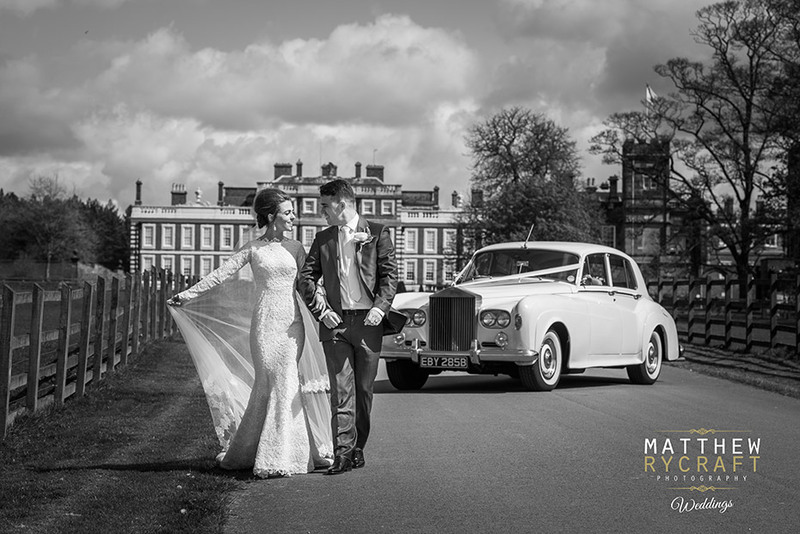 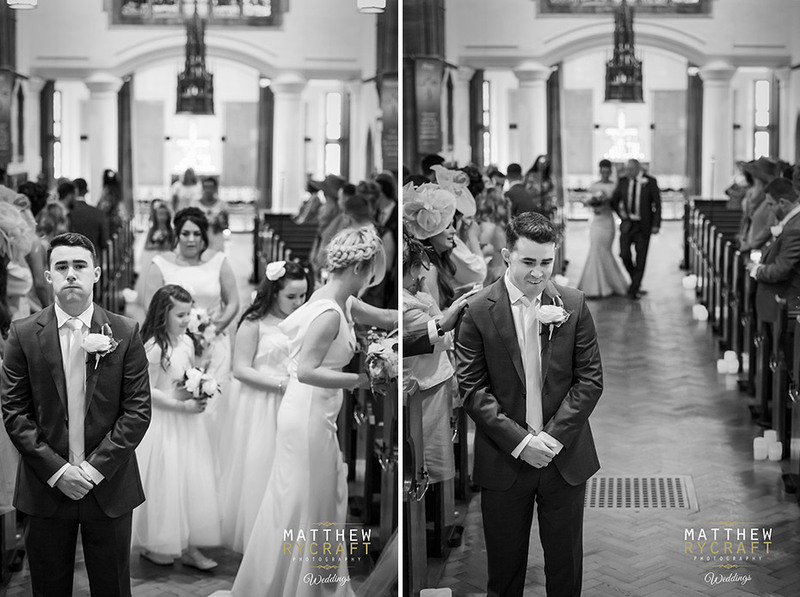 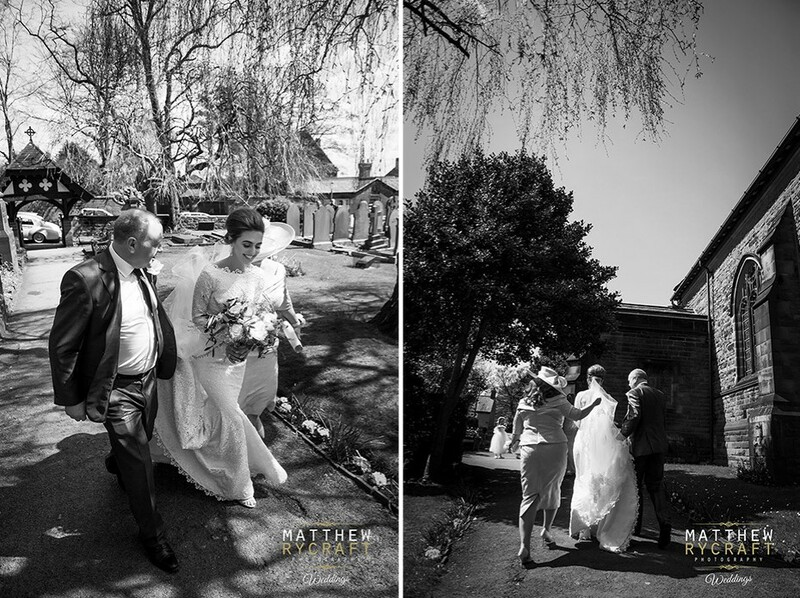 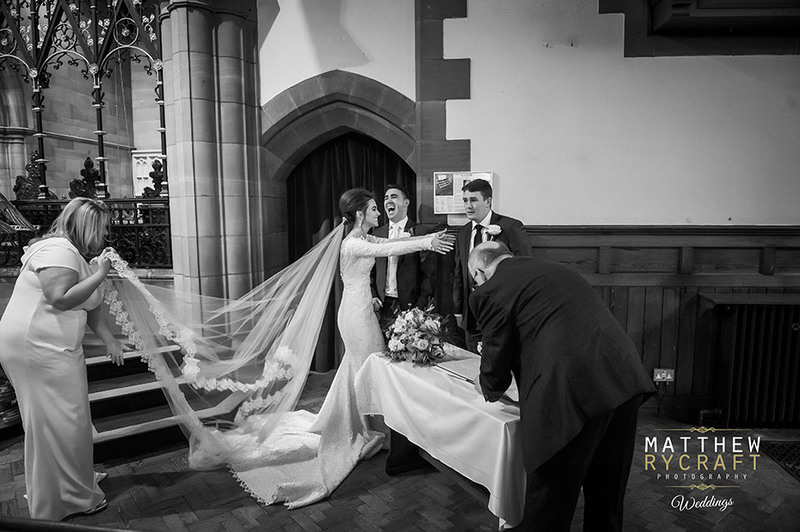 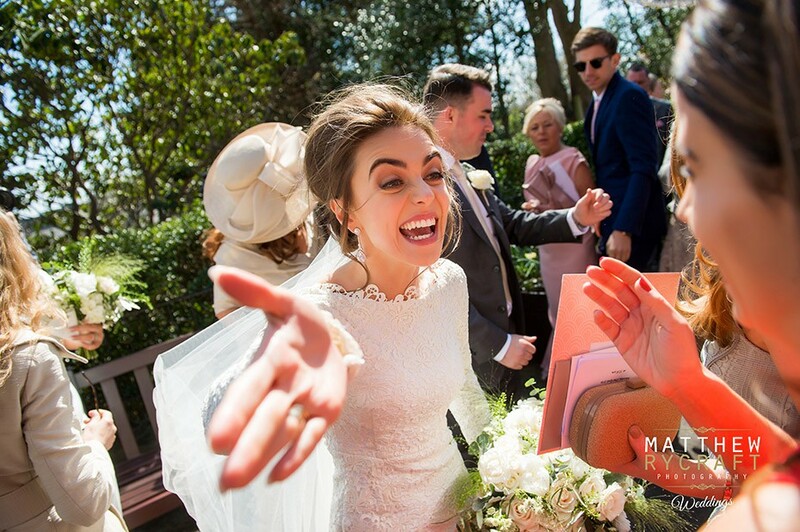 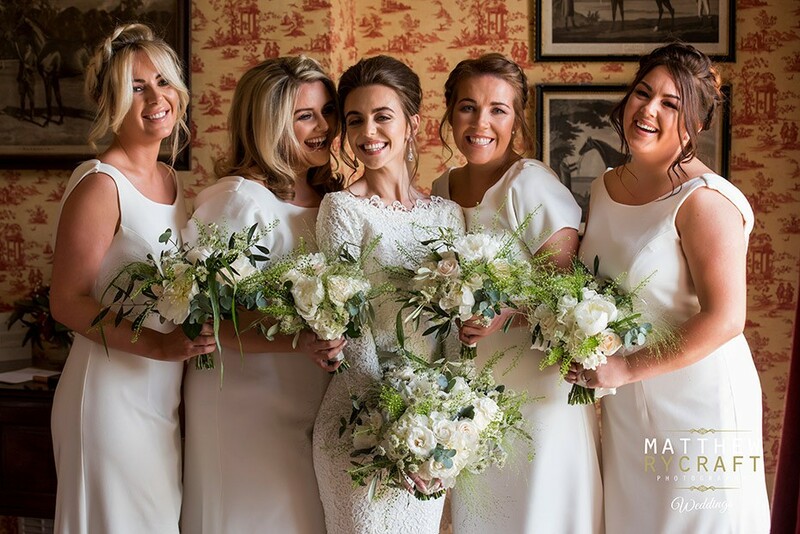 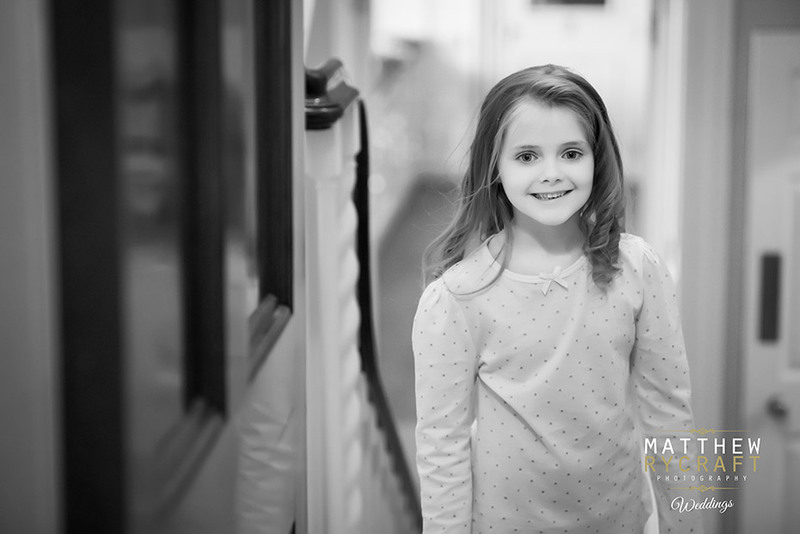 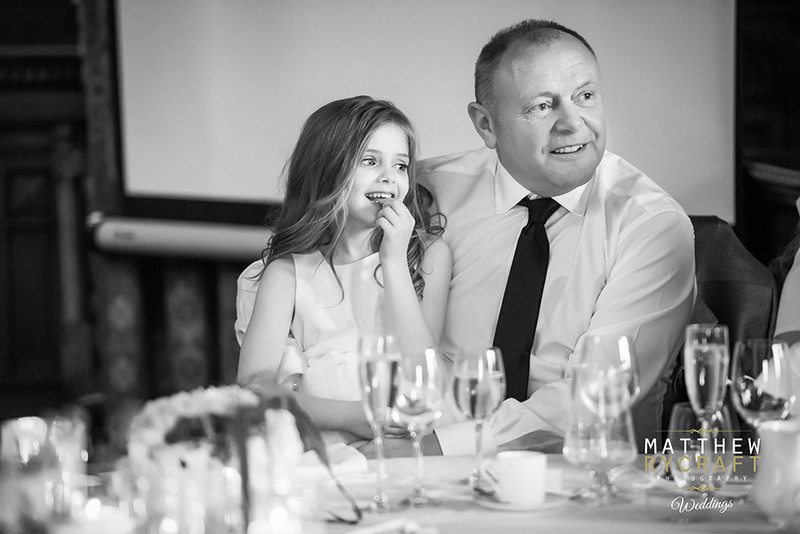 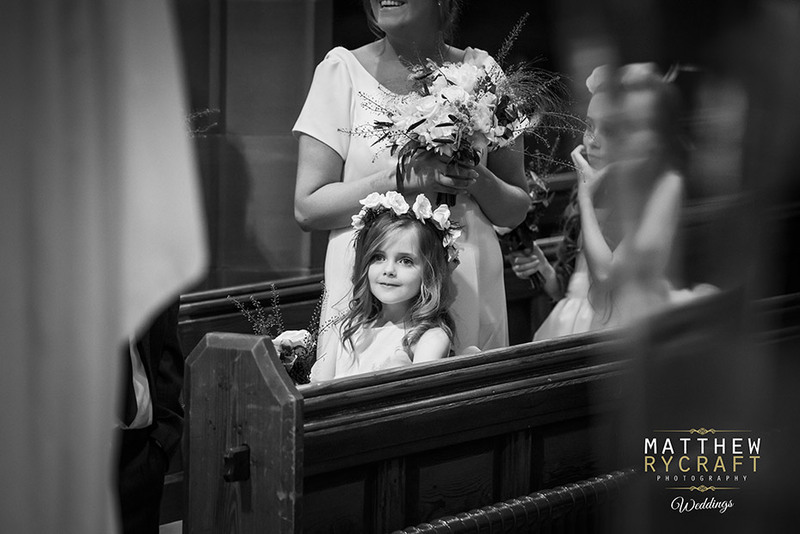 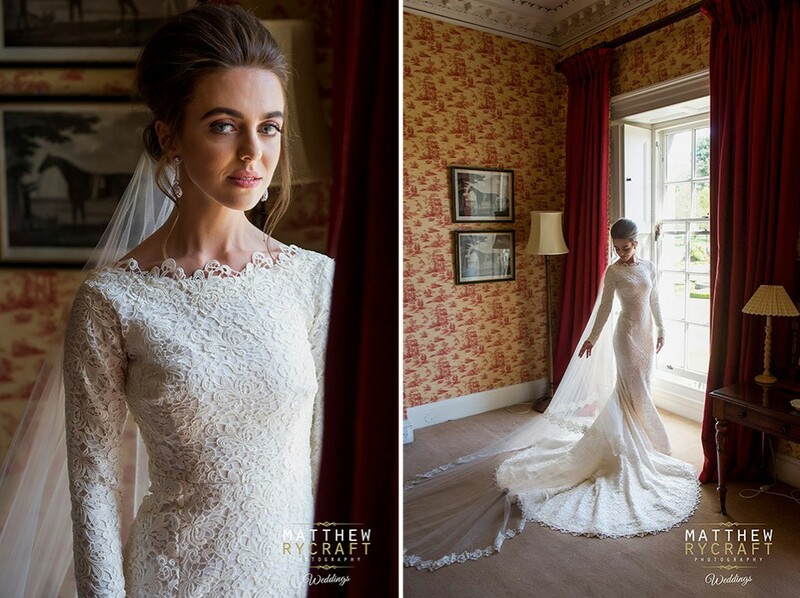 "We truly we cannot thank Matt enough for being so amazing, professional, hard working, for dealing with all of our families, for being so lovely and calming and for his passion to create the best wedding photographs for us to look back on in awe! 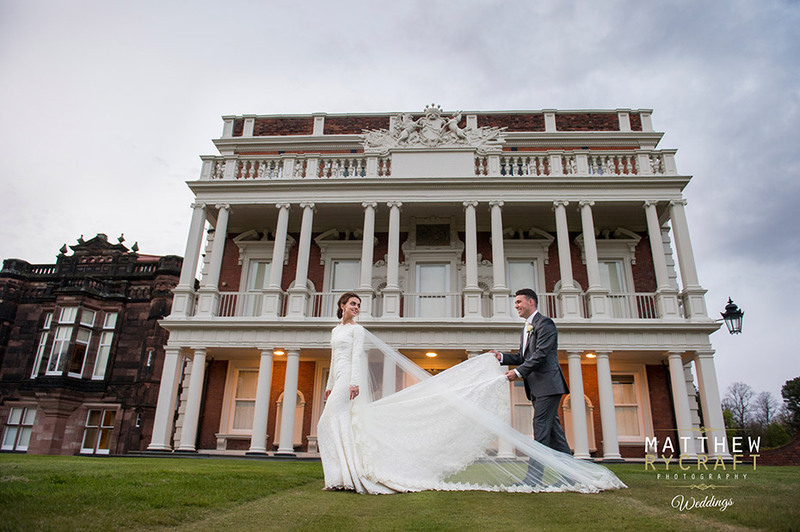 He was brilliant from start to finish even running around the lake later in the evening to get the perfect shot of us with the hall! 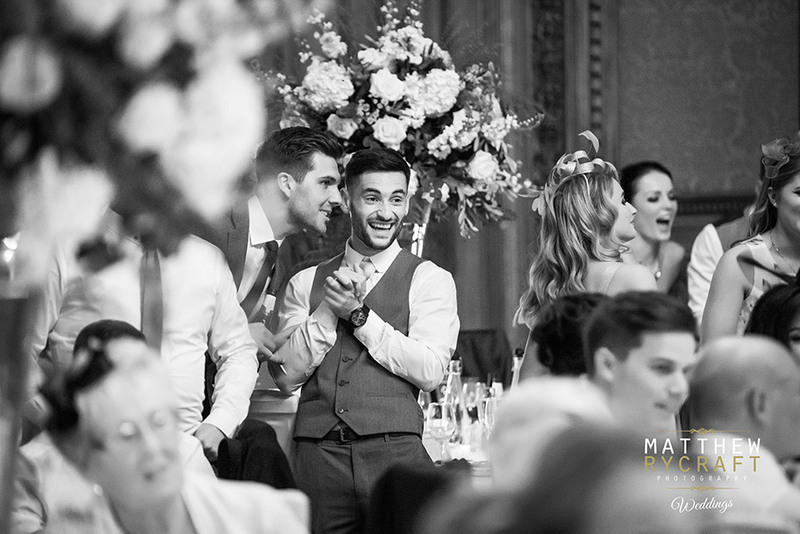 He is a true pro and a gent and we would highly recommend him to everyone!" 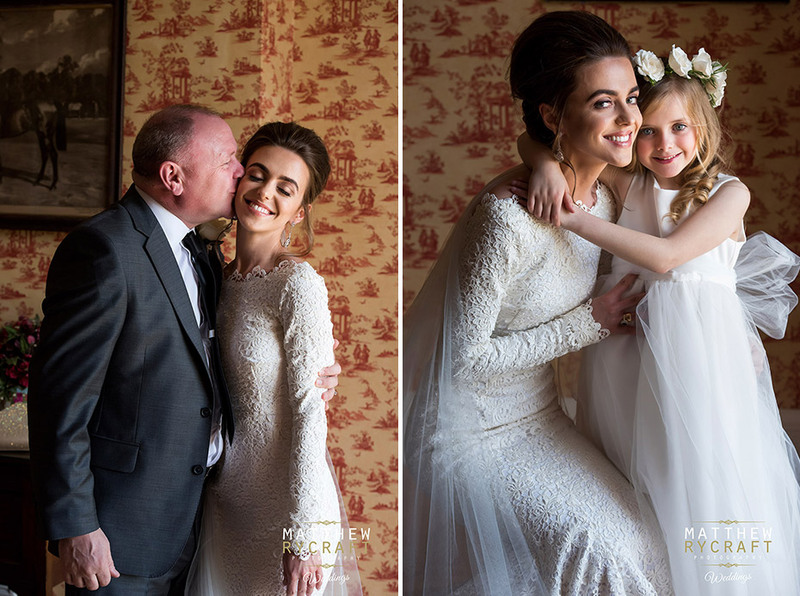 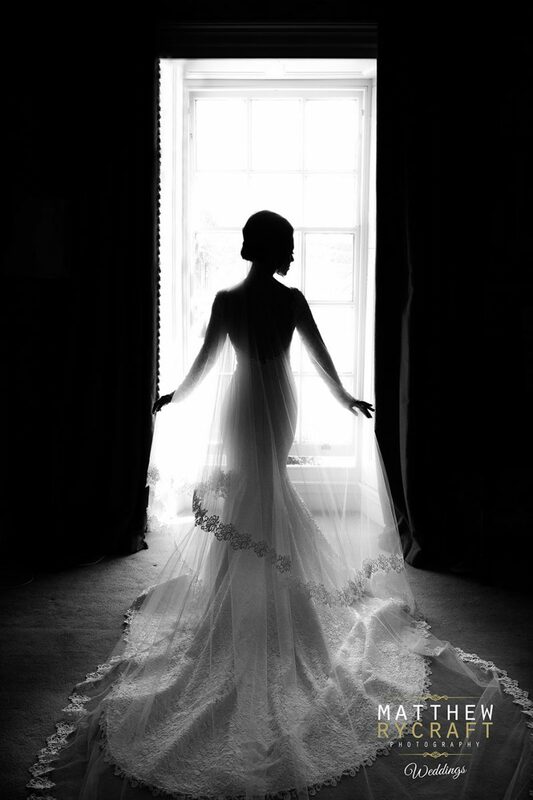 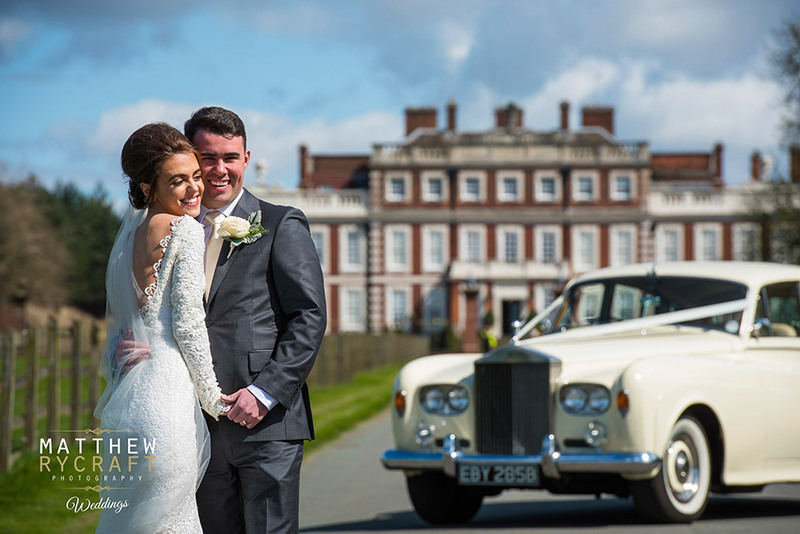 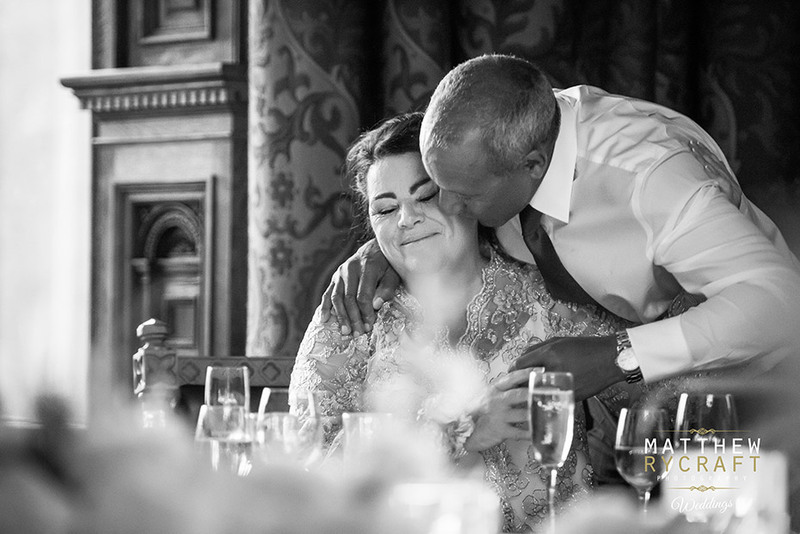 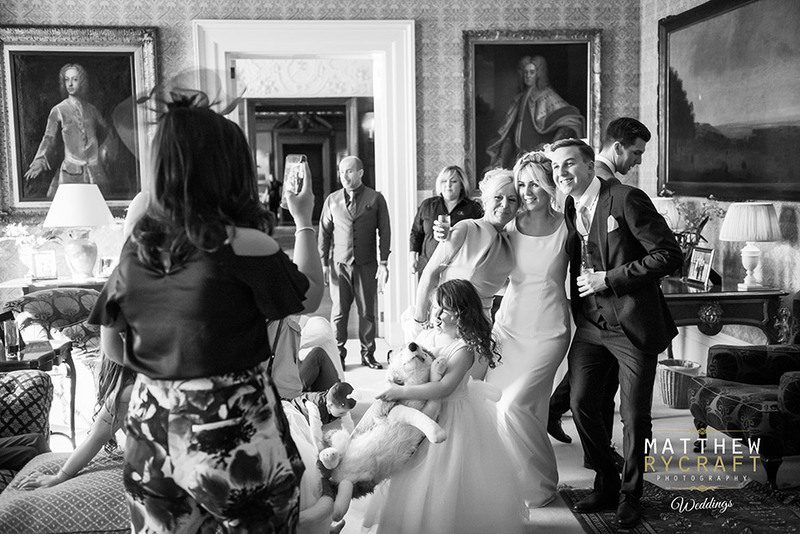 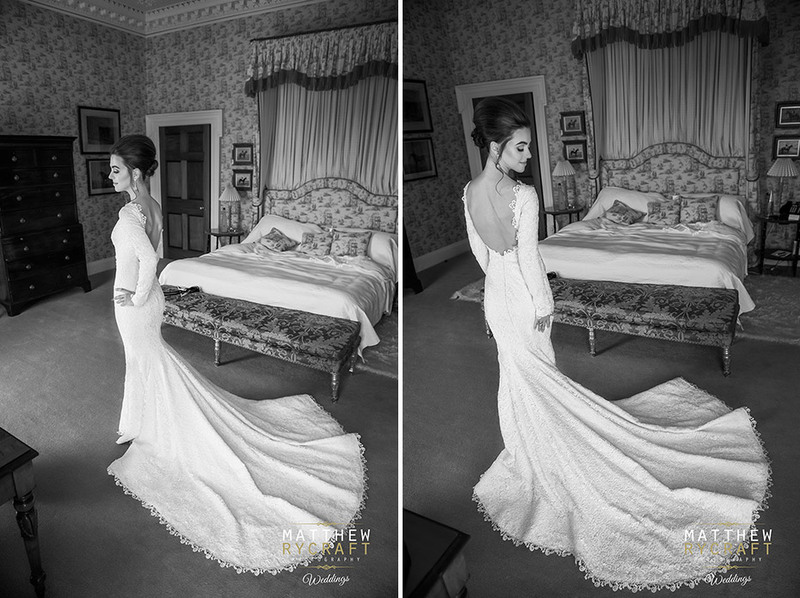 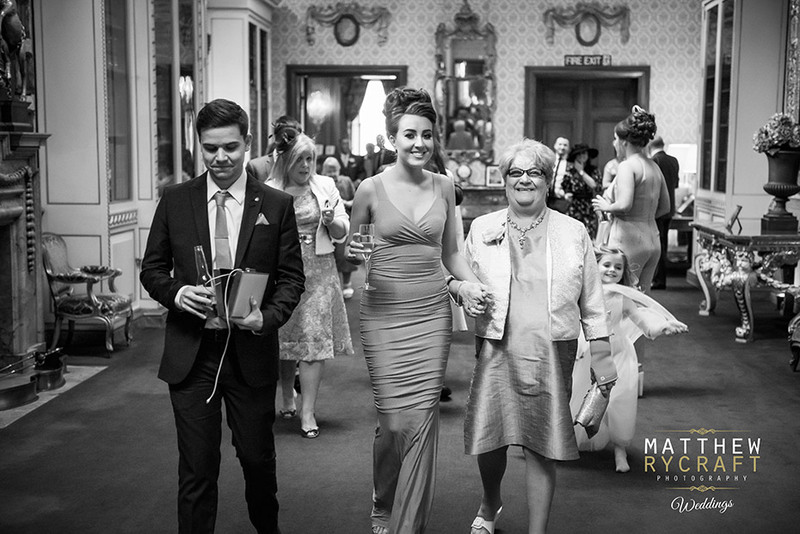 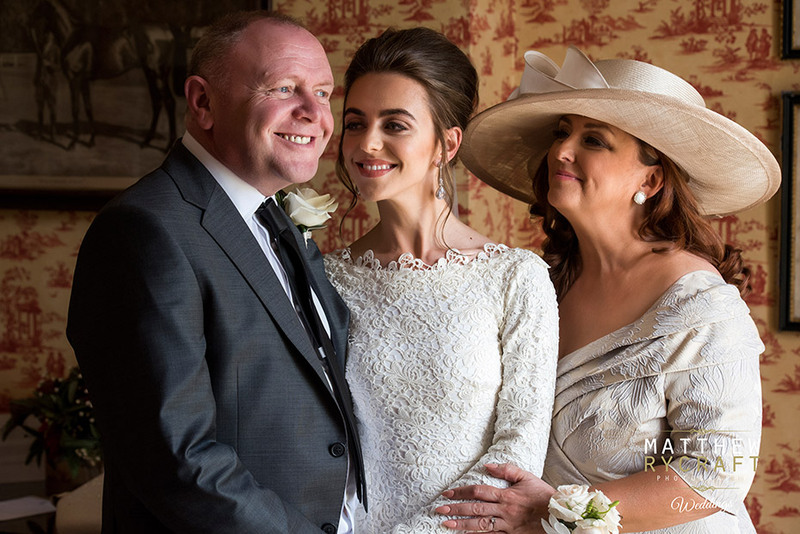 Enjoy my favourite collection of wedding photographs from this Knowsley Hall wedding, if we can be of help for your wedding day, please get in touch. 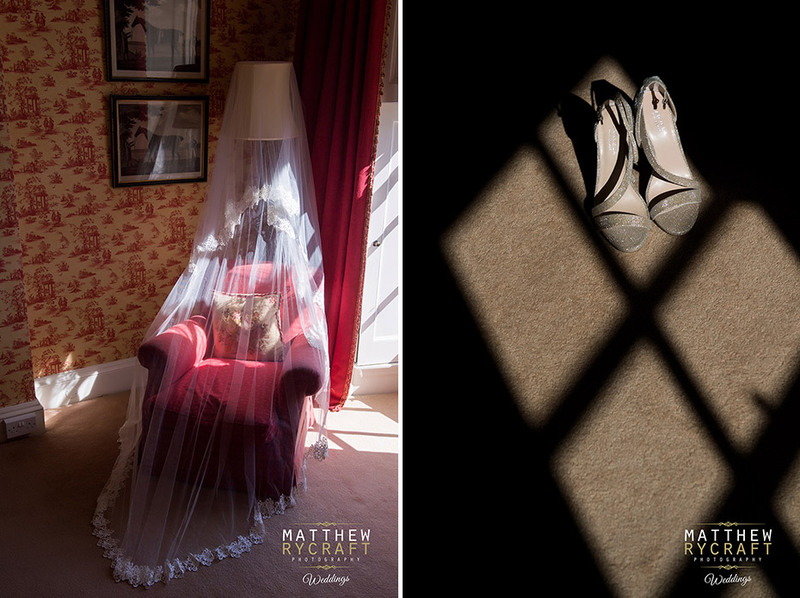 Also click for our wedding photography pricing.